On January 29, God’s people in Crafton Heights continued to walk through the story of David, the shepherd boy who grew up to be Israel’s greatest king. We heard the story of his encounter with Abigail (referenced in the text below) and compared it with a confrontation between Paul and Peter as described in Galatians 2:11-14. 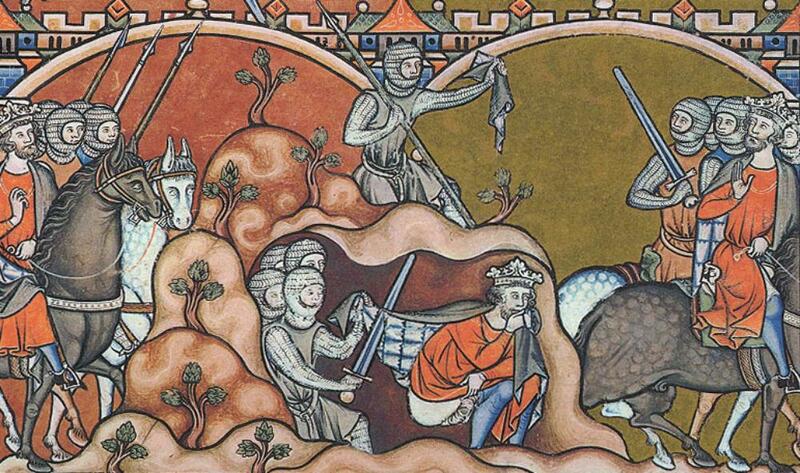 The last time we saw David, he and his men had returned to their hideout in the wilderness. As you may recall, David refused to act violently against King Saul and was content to let God write the next chapters of that story. So he finds himself in the “hill country”, or the wilderness of Paran. There are about 600 men with him, and in our reading for today, we’ll see that hiding out from a delusional king is a) not a full-time job and b) doesn’t put food on the table. The wilderness can be a dicey place. I’ve been in the area where David was on that day, and I’m here to tell you that that part of present-day Jordan is bleak indeed. Even now you can go for miles and miles without seeing much of anything, and there are plenty of cliffs and caves in which ne’er-do-wells and miscreants can hide. In fact, when Jesus told one of his most famous stories, he pointed to the danger of the wilderness. Do you remember the parable of the “Good Samaritan”? The man who was on his way to Jerusalem who was beaten to within an inch of his life by the bandits on the road in the wilderness? Apparently, while David and his men were hiding in the wilderness, they set up shop as a sort of security force for the Israelites in that region. All winter long, David and his men are in and out, back and forth with the various shepherds, making sure that everything is well. One man in the area seems to be particularly wealthy. Hebrew speakers can see where this is going, because the man’s name, “Nabal”, is the Hebrew word for “fool”, or one who is senseless. At any rate, near the end of the sheep-shearing season, David sends a small group of about 10 men to Nabal’s estate. They ask for anything he has “on hand”, knowing full well that with four thousand head of livestock who’ve just been shorn (and are presumably just about to give birth), well, there are plenty of liquid assets around. David’s men remind Nabal that had they not been there to secure those assets, he’d have a lot less on hand. And for some reason, something in David snapped when this happened. When his men report the treatment that they’ve received from this Fool, David gathers 400 soldiers and heads out to Carmel, where he intends to murder Nabal and his family. 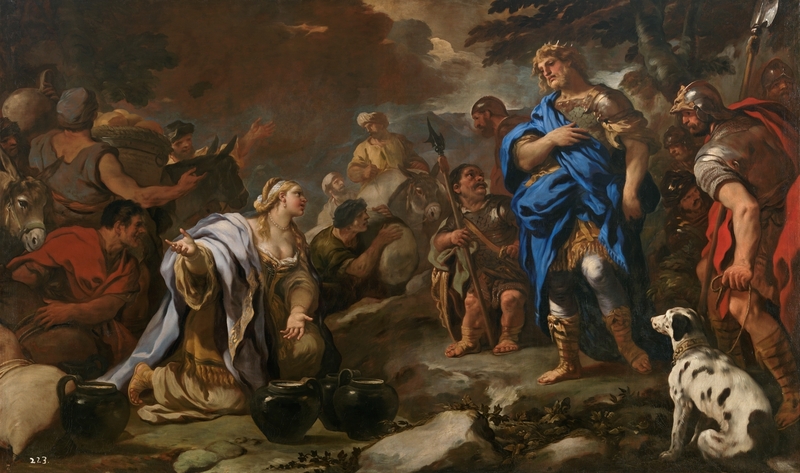 This is the same David we saw last week, by the way: the one who was relying on God to avenge the wrongs that King Saul had brought into his life; the one who was content to wait on God’s justice; the one who expressed deep and abiding faith in God’s provision… Do you remember that David? That was a guy who was acting like we want a king to act. And, unfortunately for Nabal, that David was nowhere to be seen. Instead, we see a hot-blooded, angry, calculating man bent on destruction, revenge, and murder… In other words, the David of I Samuel 25 is acting a great deal like King Saul has been acting. When Abigail went to Nabal, he was in the house holding a banquet like that of a king. He was in high spirits and very drunk. So she told him nothing at all until daybreak. Then in the morning, when Nabal was sober, his wife told him all these things, and his heart failed him and he became like a stone. About ten days later, the Lord struck Nabal and he died. She bowed down with her face to the ground and said, “I am your servant and am ready to serve you and wash the feet of my lord’s servants.” Abigail quickly got on a donkey and, attended by her five female servants, went with David’s messengers and became his wife. And, as you heard, Abigail went home and explained what she’s done to her husband. And whereas the truth enlivened David, it actually killed Nabal. Once more, David sees not just human history, but the hand of the Lord at work. He senses that it’s a good idea to have a truth-teller around, and so he marries Abigail, and she becomes a trusted confidante of the man who would be king. After all, she had prevented him from compromising his integrity and his very purpose in life. David was quick to recognize that Abigail had empowered him to be more faithful to his God, his calling, and his community than he might have chosen to be on his own. 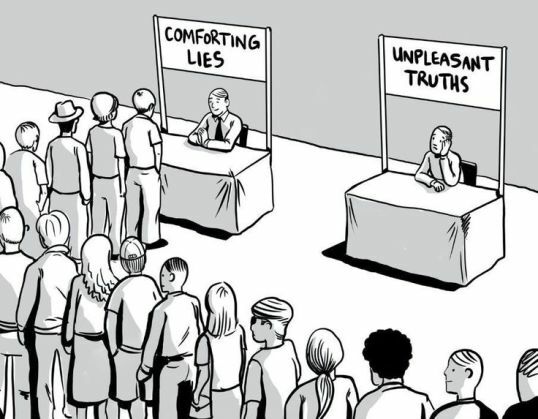 There has been a lot in the news lately about the phenomenon known as “confirmation bias”. As you may know, this refers to “the tendency to search for, interpret, favor, and recall information in a way that confirms one’s preexisting beliefs or hypotheses, while giving disproportionately less consideration to alternative possibilities.” (Wikipedia) If you want to see this in action, bring up “gun control” or “abortion” or “global warming” in any conversation, and watch how people filter reality – or in some cases create what we now call “alternative facts” – to demonstrate how any sane, right-minded person must obviously agree with them. Confirmation bias is simply our tendency to hear what we want to hear and to surround ourselves with people who are willing to tell us exactly what we want to hear. Who saves you from that? Who does the opposite of that for you? That is to say, do you have anyone in your life who is not content to simply tell you how wonderfully correct you are, but who instead calls you to be a better self than you currently are? Now, pay attention to me. This is important. I am not sending around a sign-up sheet asking “Who wants to be an Abigail or a Paul, and go out telling people what’s wrong with their lives and where they need to improve?” I’m not encouraging any self-appointed prophets to go out and straighten out the political views, solve the personal problems, and rectify the incredibly poor financial decisions of the people around them. I am asking, in some ways, the opposite question. Who will you trust enough to invite into your life so that you might know more of the truth about yourself? How are you designing relationships so that when you need to hear the truth, there is someone who is close enough to speak it to you? Our natural tendency is to surround ourselves with sycophants – so-called “yes men” who tell us exactly what we want to hear about ourselves and the world. The problem is that these people disappear when times get tough and leave you to wallow in your own mess. We need someone who will love us enough to tell us the truth. We need people in our lives with whom we can be honest so that our integrity – our moral compass – is protected. Some of you know that every other Wednesday morning at 7 a.m. I sit with a group of seven other pastors in the room back there. You might think that all we do is drink coffee and laugh. Some days, you’d be right to think that. But on our best days, we allow ourselves to talk about the stuff that really matters. We give each other permission to ask difficult questions. We trust each other’s perceptions. We don’t all agree theologically, politically, or socially. But we love and trust each other, and rely on each other to be honest reflections of ourselves. A few of you might say, “Hey, who needs a group like that? I’ve got a spouse who does that for me.” And if that’s how your life is, that’s great. Sharon and I have found that sometimes we are too close to each other or to the situation to be objective enough to tell the truth in this way. In recent years, I’ve made a habit of spending regular time with a few people in a one-on-one context wherein I’ve been given permission to ask some important – and sometimes intrusive – questions. These are people who don’t want to stay where they are, and think that having someone like Pastor Dave interrupt their lives from time to time might be a good thing. My point is this: David was an incredible man of God. For a long time, it was obvious that God was going to use him in some very significant ways. But in his life, as in mine, there were landmines and potholes. Every single day, David’s anger, pride, lust, or insecurity sought to get the best of him. Every single day presented David with choices that provided a tremendous opportunity either strengthen or undermine his witness; to enlarge or diminish his integrity; to accentuate or compromise his effectiveness for the greater good. David needed to let someone into his life so that he might be protected from himself. And on that day, in the wilderness, that person was a woman named Abigail. I need to let someone into my life so that I might be protected from myself. Your task for this week is simple: ask yourself if what I’ve said this morning about David is true. See if you think it might be true about me. And consider whether it applies to you. Well, then you act. Who tells you the truth – even when the truth is the last thing that you want to hear? What, if anything, needs to change in your life so that you are more likely to be open to relationships like this? How can we help you get there? I suspect that many of you were anticipating that I might say something in the sermon about the political firestorm that is brewing as a result of the fact that the President of the United States of America has issued an executive order that severely restricts immigration from seven war-torn, predominately Muslim nations, suspends all refugee admission for 120 days, and bars all Syrian refugees indefinitely. Some of you may have been disappointed that I made it all the way through a sermon which seems to be focused on a person who is called to greatness and rooted in goodness who is tempted to act in a way that is beneath his faith and contrary to his God. Others of you may have been relieved that I didn’t get all political in a message. The bottom line is this: if you were waiting until today to hear me say something about the call of the church to advocate for the last, the least, the lost, the little, and the dead; if you are still wondering what I think about the response that Christians ought to have to those who are running for their lives; if you’re not sure what I believe about what the Scriptures have to say about welcoming the stranger and caring for those who bear the image of God… then, well, I’ve been doing it wrong for 23 years. This is not the hour for a political meeting or a policy strategy session. This is the time for us to stand in prayer and solidarity with those who are vulnerable; to ask God’s blessings of wisdom and discernment and prudence in the lives of those who have been tasked with leading our nation; and to ask God’s mercy on us as we, who have so much, must now choose what to do with it. I have made available a statement made by the Rev. J. Herbert Nelson, who is Stated Clerk of the Presbyterian Church (USA). 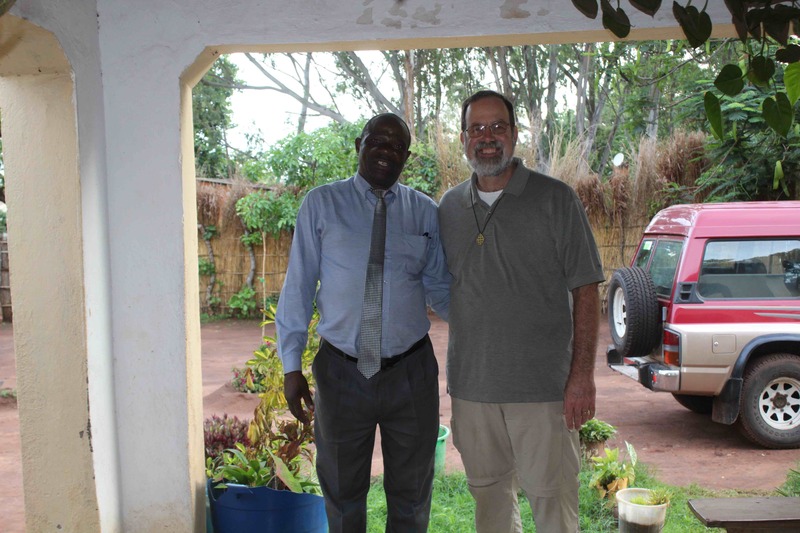 I’ve met J. Herbert on several occasions, the first of which was in the city of Juba, South Sudan, on a day in which I had been tasked to be the preacher in a United Nations “Protection of Civilians” camp housing 35,000 internally displaced people. It was overwhelming… mile after mile of people who had been driven from their homes by ethnic or political terror – clutching to what remained of their lives in structures made from plastic tarps and bamboo sticks. J. Herbert was on his way to the camp that I just left – and I cannot imagine a place on earth that is closer to the despair of hell than that camp. I would encourage you to read that letter. I would encourage you to read Matthew 25, about the care for “the least of these”; and Leviticus 19, about our charge to deal well with the poor, the foreigner, and the refugee; and Luke 10, about knowing who is your neighbor and how to treat that neighbor. I’m not here to drive you to any particular action or political strategy. You, as a congregation, pay me to encourage you to read and respond to the Word of God. So I’m doing what you asked me to do – pushing you, encouraging you, inviting you to take the words of Jesus seriously. This stuff about loving neighbor, exposing ourselves to risk, walking with the most vulnerable – I’m telling you, it’s not my idea. I learned it from Jesus. Pay attention to him! May God have mercy on us because we do so – or fail to do so – at our own peril. For much of 2016-2017 the people of Crafton Heights will be exploring the narratives around David as found in the books of Samuel and Chronicles. It is our hope and expectation that we will learn something about leadership, power, humility, grace, forgiveness, and service as we do so. On January 22, 2017 we considered the tremendous power that our own desire has over us… and the ways that we are free to choose otherwise. Our texts included I Samuel 24 and Romans 12:14-21. This week we will return to our year-long exploration of some of the stories surrounding David, the shepherd boy who grew up to be the greatest King that Israel ever had. When we last saw David, he was in a difficult spot: King Saul was breathing down his neck and the residents of the town of Keilah as well as the inhabitants of Ziph had just thrown him under the bus by telling Saul exactly where David and his men could be found. Just as Saul and his army were closing in, however, there was an attack from the Philistines and Saul had to leave David to attend to that matter of national security. Our reading for today begins with a description of a renewed manhunt by Saul and 3000 of Israel’s elite fighters. They’ve come into the wilderness to put an end to David once and for all. The problem is that David and his men have had time to hide in the caves that dot that part of the countryside. During a lull in the search, Saul ducks into the nearest cave to take care of some urgent business. As fate would have it, the cave that he chooses for his toilet is the same cave in which David and his men are hiding out. David takes it a step further when he calls out to Saul – “My lord, the king”, he says. 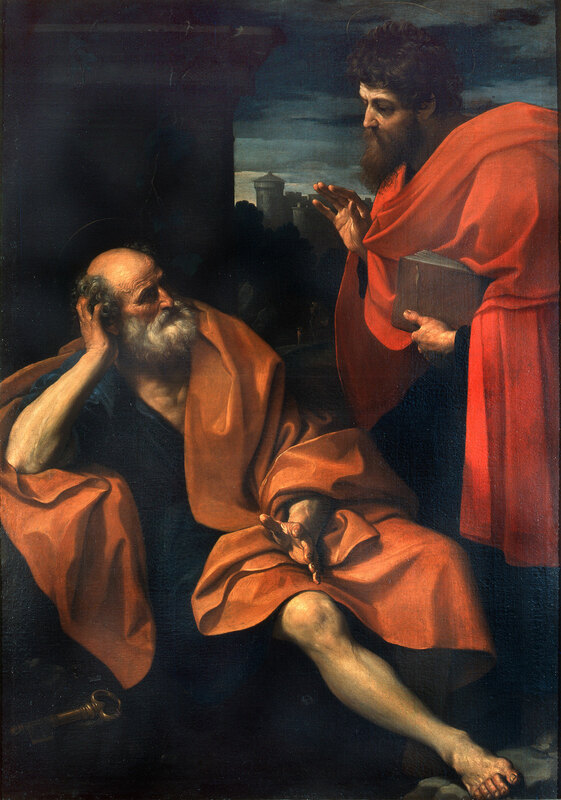 He tells Saul what he did, and what he wanted to do, and then he says, “But may the Lord be our judge.” In doing so, David casts himself onto the Lord’s care. He refuses to trust either his own judgment or his own sword. Saul is challenged and humbled by this and takes his army home. At the same time, David chooses not to chase Saul, and he does not proclaim victory – he simply returns to “the stronghold”. I take this both physically and metaphorically. On the one hand, it’s clear that he and his men returned to their hideout – back to the place where they’d be able to defend themselves from further attack. But on the other hand, I think it’s a way of saying that David continued to dwell in the safety of God’s promises to and about him. He did not attempt to hurry God into anything, but rather was content to wait with God until the time was right. I believe that this part of David’s story contains an important word for Christians in the twenty-first century. In a general sense, I think that this is a compelling and refreshing reminder that you don’t have to do what you want to do. I mean, here is Saul spending all his time telling lies about David, attempting to kill David not once but time and time again, and generally making life hell for David. He’s interfered with David’s closest friendship (Jonathan) and David’s marriage (Michal). All that Saul has done in recent years is seek to diminish or disable David. And so when David’s men say, “Now’s your chance, boss! Do what you want to do!”, well, David wanted to kill Saul. But he chose not to do that. Don’t each of us face situations like that all the time? Oh, sure, it may have been a while since your father-in-law stalked you into a cave in the wilderness with 3000 commandos intent on taking your life, but don’t you know something about having to decide whether or not you’re going to act on your first impulse or wait it out so that you can choose something better? In many ways, you do this every single day: you decide whether to set an alarm or not; you decide whether to get up when it rings; you decide to jump in the shower, have breakfast, and go to school or work… even when you don’t want to do that. You want to stay up late, eat more pizza, watch a couple more episodes on Netflix, and skip work or school. But most days, you choose to do, not what you want to do, but what you ought to do. Of course not. As you contemplate putting that post on social media, making that sarcastic comment, starting that affair, eating that next donut, or choosing to give into the despair that you fear may be swallowing you whole… you can remember that you don’t have to do any of those things, even if you find that you would really, really want to do them in the moment. You have the power, with God’s help, to make other choices. Now, having said that, I find that I am drawn particularly to the exchange that David and Saul have here. Not only does David choose to do something other than that which he really wants to do, but in so doing he claims a significant victory over someone who has wounded him personally and deeply. There are many people in the room this morning who have struggled with pain as a result of someone else’s actions or incompetence. It seems to me that there might be a word of release for us in this conversation between the faithless, yet powerful king and the humble and vulnerable young man who is called to replace him. When David speaks to Saul, he cries out both to and against the king, and then he declares his freedom from that pain as a defining characteristic of his life. David does not allow Saul’s evil to drive himself into a deeper, darker place. Instead, David points out to Saul – in the presence of his men – the fact that Saul has brought great harm into David’s life, and then he trusts in God to bring Saul’s story to an end. It is not David’s role or responsibility to deal ultimately with Saul. David chooses instead to invest himself in hope, trust, and faith. Did you hear that? This brave woman stared the one who tried to kill her – while she was shielding her 11-year old granddaughter from the hail of bullets – and named the pain he had caused her. And then she gave him over to God. After her initial comments, she showed those in the courtroom her battered and torn Bible, the same one she carried to that Wednesday night Bible study. The pages had been cleaned of blood, she said, but the words remained intact. Again, I realize that there’s no one here who has been falsely accused of treason and hunted down by a mentally unstable monarch; I don’t believe that any of us have been put in a situation where we’ve had to lay between our grandchildren and the bullets of a psychopath. But I know you. You have been hurt. There was a parent or grandparent or other trusted adult who abused you in some way. You have suffered greatly at the hands of someone you thought was a friend you could trust. You have been betrayed by a sister or brother or colleague. You have felt the ravages of an attack from an enemy. What did you do? What will you do? Let me encourage you first, if you’ve not done so already, to get out of that situation. Put yourself in a place where the evil cannot reach you – hide yourself in a cave like David if you must, but do anything you can to diminish that person’s ability to inflict suffering into your life. And if you’ve done that, then seek healing for the wounds which have been received. This is not a selfish act – instead, you have the responsibility to care for yourself so that you do not unwittingly become a perpetrator of pain in the life of another equally innocent person. And in doing that, I beg you to not allow yourself to be consumed by the thirst for revenge – as tasty as that sounds in the moment. Give your pain – and the one who caused it – to God. No matter how much you want to do otherwise, choose to be better than the one who harmed you. We do that by following in the way of David. After this confrontation, Saul called his army and headed for home. David did not chase after him. Instead, we are told simply that “David and his men went up to the stronghold.” When you have done all you can, then hide out in the stronghold of God’s mercy. Invest yourself in the things that bring life and wholeness to other people. One of the great truths in this life is that we are not prisoners of our own desires. Each and every moment, we are filled with tremendous want. When you sing the last hymn and get up to leave this morning, you’ll have lots of opportunity to give and receive offense. You do not have to do what you really want to do. You can choose to act differently. Look to God, stay with your community of faith, and hide in the stronghold of grace. Thanks be to God for the gifts that allow us to become better people than we really want to be. Amen. Quotes from “’Justice Has Been Served’, Families Say to Dylann Roof” in USA TODAY, January 11, 2017. 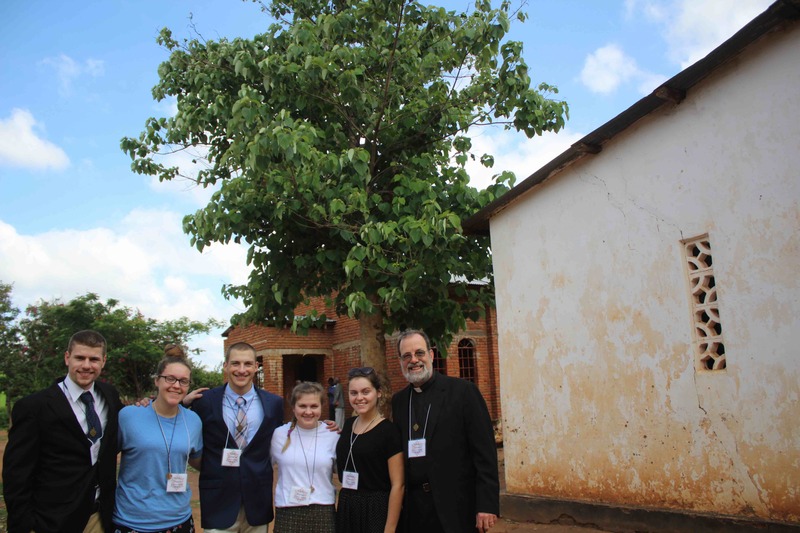 Having been refreshed by time at the lake and as a team, on Saturday morning 7 January we headed south to explore the last two days of our time in Malawi. As we drove from Mangochi to Blantyre, we made several stops. One of these was at the Naming’azi Farm Training Center. This is a demonstration farm and educational facility used by the Synod of Blantyre to help local farmers learn the best techniques for animal husbandry, crop rotation, natural weed and moisture management, and more. Because a significant partnership has recently ended, there is not much actively going on at Naming’azi at the moment, but it remains one of the best ideas going – God’s people grappling with issues of food production in an era of climate change and increased attentiveness to the problems associated with chemical used in agriculture. From there we proceeded to the region around Chileka, where we were honored to visit a support group for individuals and families living with HIV/AIDS. 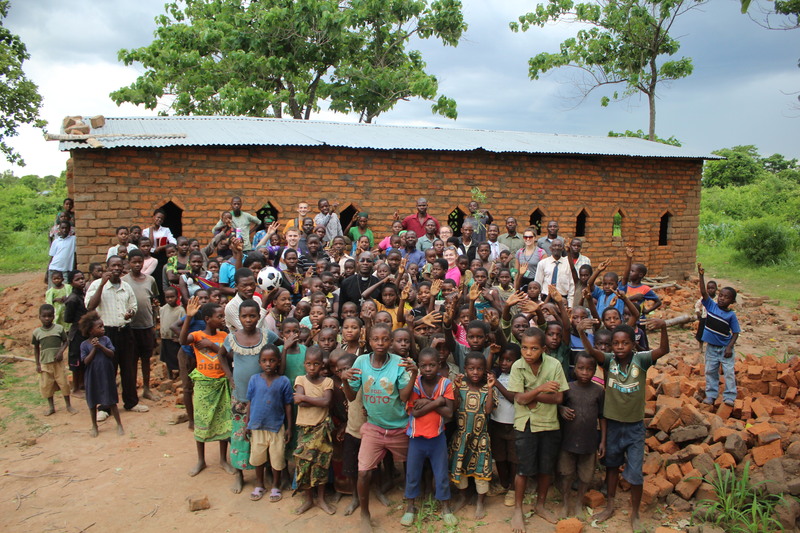 The village where we were hosted is one of many that is home to such groups across southern Malawi. 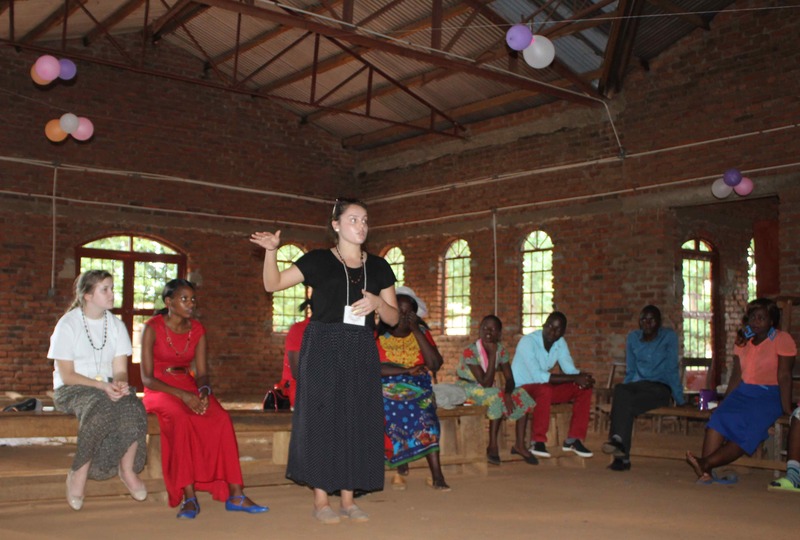 The Blantyre Synod Health and Development Commission (BSHDC) invites community members to form such peer groups in order to promote awareness, reduce stigmatization, enhance adherence to drug therapy treatments, and monitor individual concerns at a local level. One concern that has been noted is that many of these families struggle with nutrition, particularly for their children. 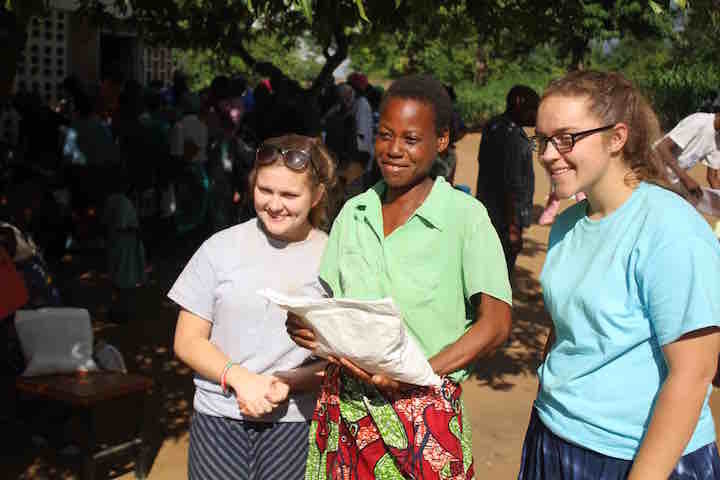 Using funding provided by Pittsburgh Presbytery’s International Partnership Ministry Team, the BSHDC is making bags of specially-enriched corn flour called Likuni Phala available to families during the “hungry season” of January and February. This flour contains corn, soya, sugar, and vitamins and is extremely effective at forestalling malnutrition (especially in children). We were surprised not only to be present for a distribution, but to have a role in it. Part of the communal support group for those affected by HIV/AIDS. Sharing some Likuni Phala in the community. One of the benefits of a trip like this is to be able to call attention to challenges and possible responses. 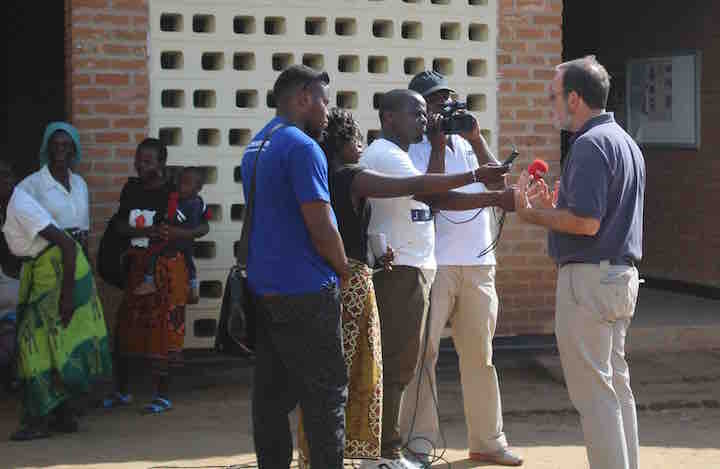 Here I am talking with the Malawian Broadcasting System television and radio teams at the food distribution center. On Sunday, we achieved our goal of sharing in worship with an urban congregation. 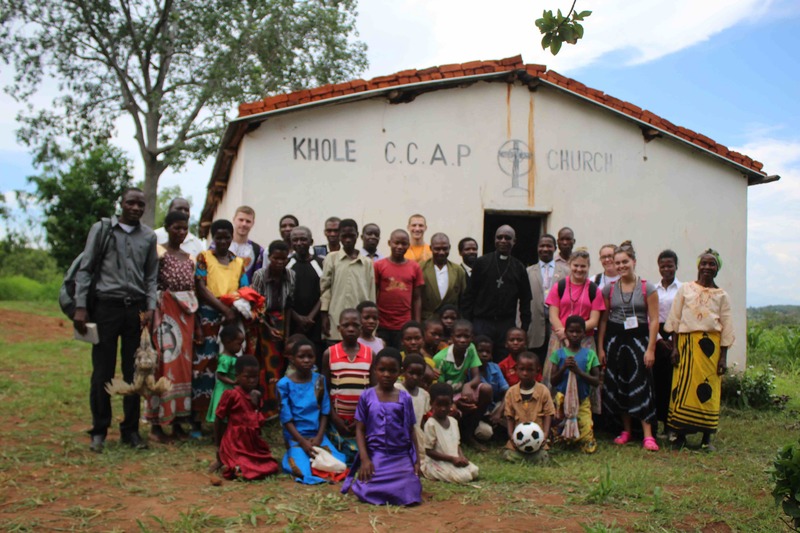 Unlike Mbenjere CCAP (where we visited on 1/1), St. Michael and All Angels CCAP is comprised city dwellers who are significantly better educated than the average Malawian and many of whom hold key positions in the nation’s business, governmental, and philanthropic communities. We were asked to provide leadership for the 8:30 service (one of five worship services at St. Michael’s each Sunday), which meant that each of us had a reading, and I preached and led the prayers. 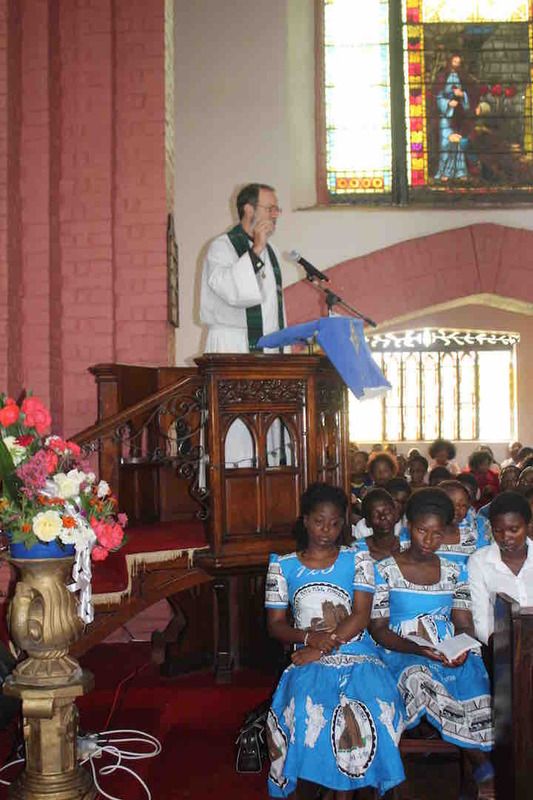 Preaching at St. Michael and All Angels church in Blantyre. 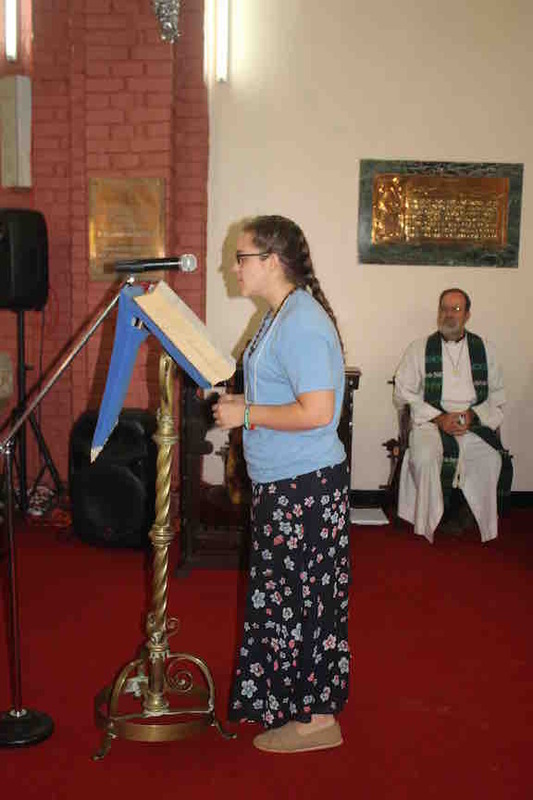 Katie reads from Philippians 1 at St. Michael’s. 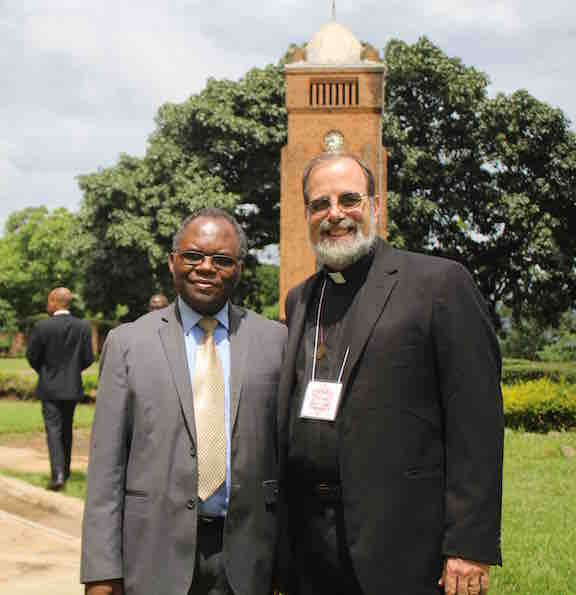 I was delighted to run into Glomicko Munthali, who I believe was the first chair of the Blantyre Synod Partnership Committee in 1991. 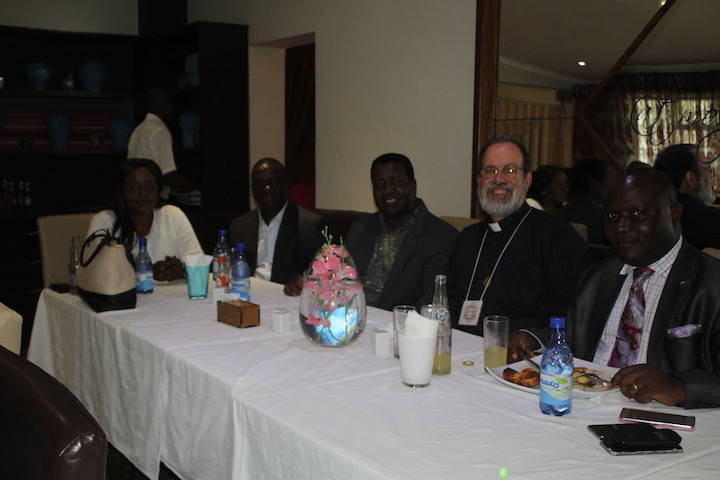 Following the worship, we were treated to an amazingly delicious Farewell Luncheon hosted by the Blantyre Synod Partnership Steering Committee. 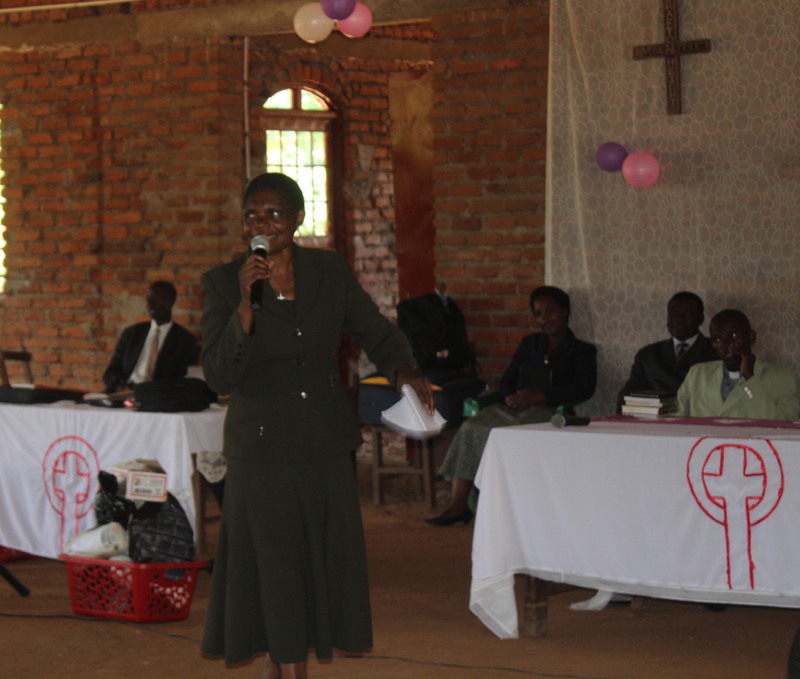 During their speeches, members of this body, along with General Secretary the Rev. 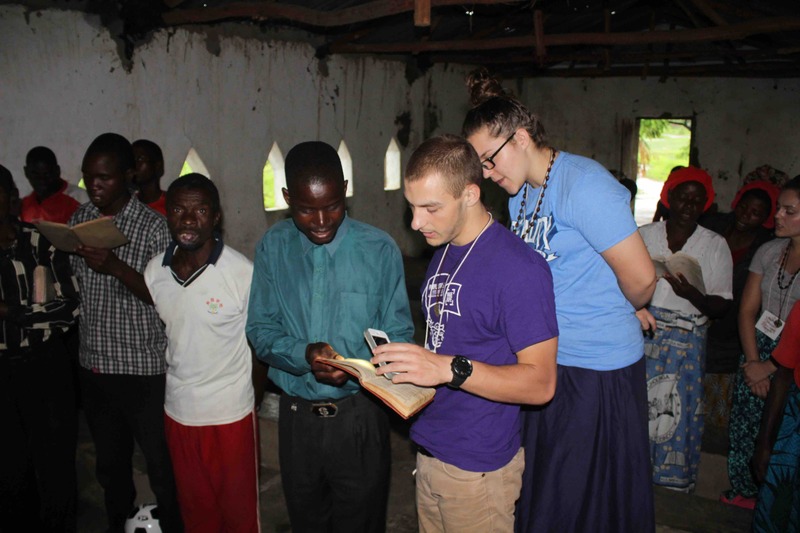 Alex Maulana, expressed their deep appreciation for the presence of a youth missionary team from Crafton Heights and they expressed a desire that the vision and diligence of this group (especially in terms of fund-raising and preparation) might serve as an encouragement to a group of Malawian young people to embark on a similar journey. 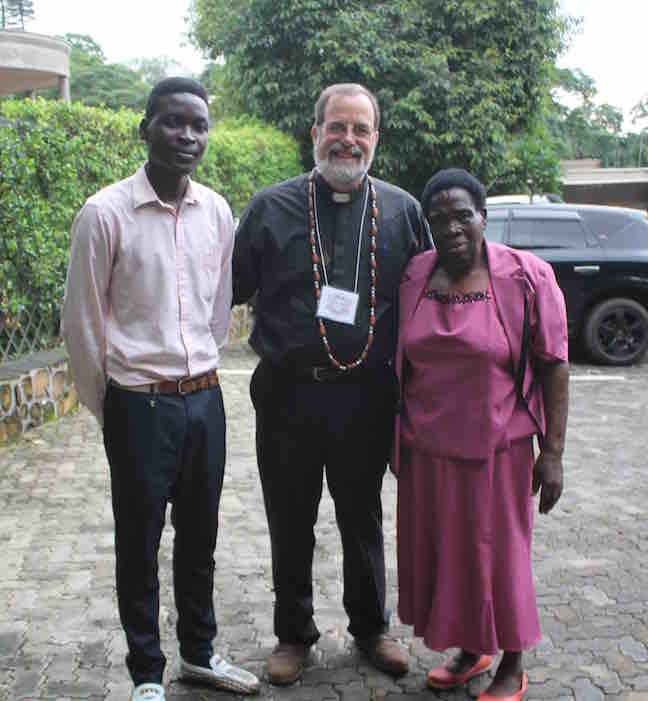 A personal highlight of this occasion was the fact that Davies Lanjesi made a special effort to include Mrs. Sophie M’nensa, and she and her grandson Gamaliel were able to join us for both worship at St. Michael’s and the banquet. With the Revs. Billy Gama and Alex Maulana along with Davies and Angella Lanjesi at the farewell luncheon. With Sophie and Gama after the luncheon. 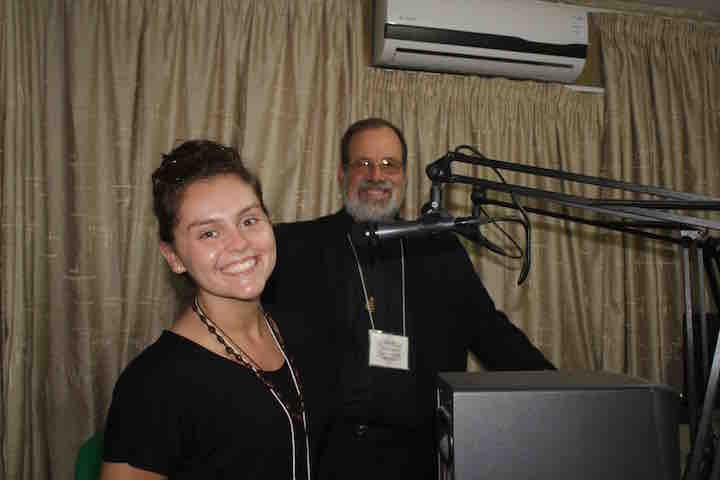 Continuing to tell the partnership story: here Rachael and I are interviewed by Blantyre Synod Radio. 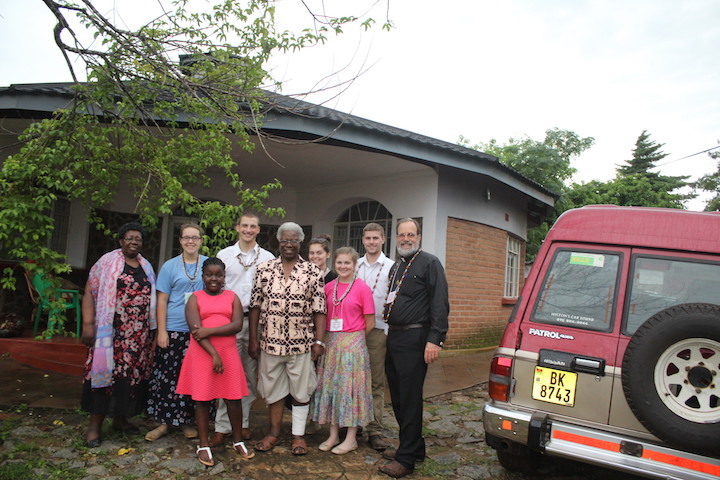 Our travels concluded with a stop to visit my old friends Silas and Margaret Ncozana in their modern/traditional Ngoni-inspired home in the Chigumula area. Here, we shared much laughter, deep appreciation for the work of partnership in our own lives, and an expression of the challenge that lies in front of all who would serve the Lord and his people. 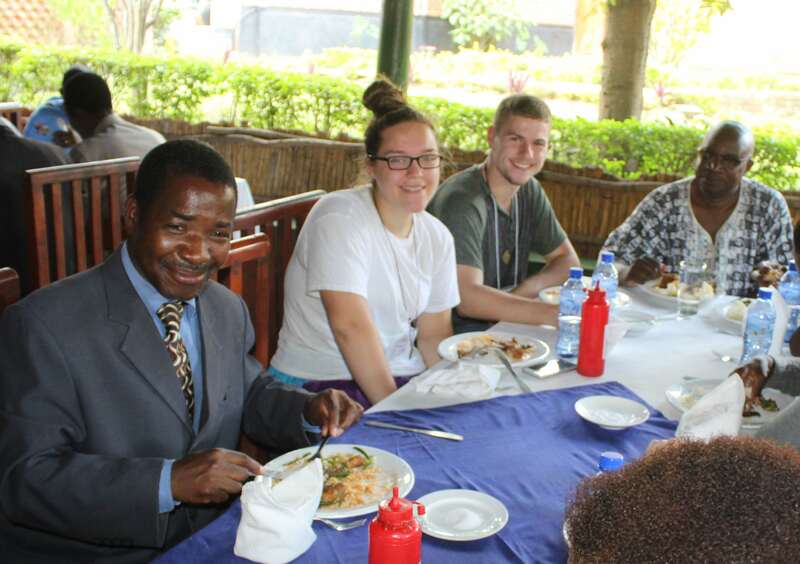 The young people were grateful for the Ncozana’s hospitality and humor; they listened to a few more stories about the old days in the partnership, and heard Silas charge them to become leaders in the days to come. It was a beautiful ending to a good and rich journey. Sharing time with Silas and Margaret! Silas shared with us the Ngoni tradition in which he said that anyone who was a witch was forbidden to enter the home. 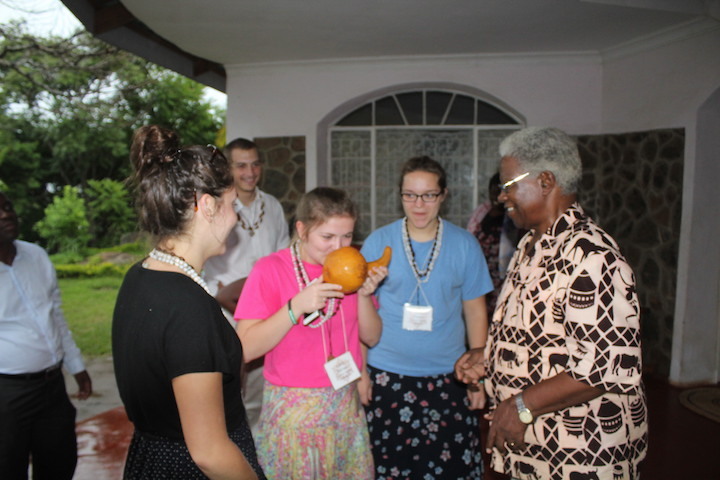 Each of us drank from the gourd – and a witch would die immediately. We all lived, and later discovered that the beverage was a home brew made from baobab fruit. As we prepare to pack and weigh our bags in preparation for the longest flight these young people have ever known, we are filled with appreciation for the opportunities we have had, and we ask your continued prayers as we seek to continue to learn from and grow into these challenges. 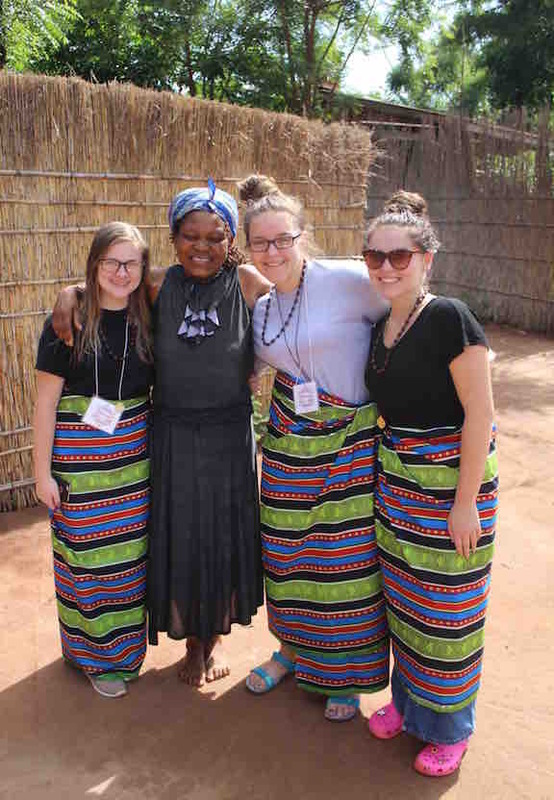 I will say again that I cannot imagine this trip having gone better – the hospitality was amazing, the team was pliable and energetic, we grew in our understanding of so much – it was all simply beautiful. I hope that these few blog postings have given you at least a little bit of a window into the richness of this experience for this team. Thank you so much! 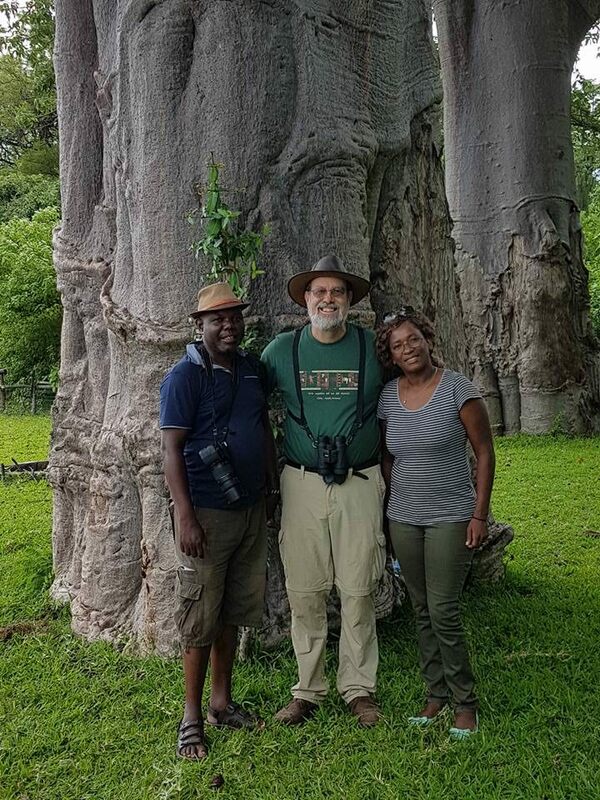 We left Ntaja on the afternoon of 4 January, and drove to Liwonde, the site of one of Malawi’s National Parks. On property adjacent to the park, my old friends Sam and Lonnie Ncozana have opened up the Kutchire Lodge. This proved to be a wonderful jumping-off point for a day of fun and adventure after the formalities and responsibilities of the previous week. 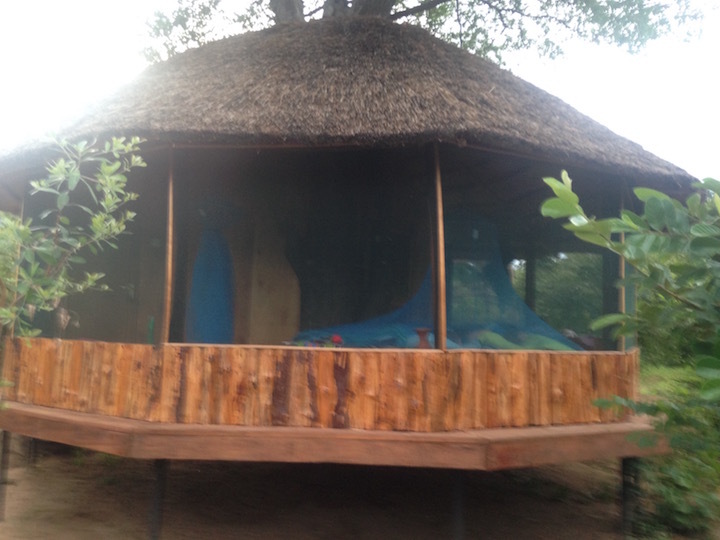 We stayed overnight (the girls were given the “treehouse” lodging, while the guys had a safari chalet to share. Each of these was essentially open air – that is to say, there are fine screens as well as mosquito nets, but no glass. It was a little frightening for the team, at times, to fall asleep with the sounds of the African forest all around us – but it was a delightful experience we’ll not soon forget. The Treehouse at Kutchire. The blue is the mosquito netting and the lumps inside it are some of my favorite people in the world. On January 5 we had a brief boat safari as well as a jeep drive through parts of the Liwonde National Park, and it was a real thrill for all of us. 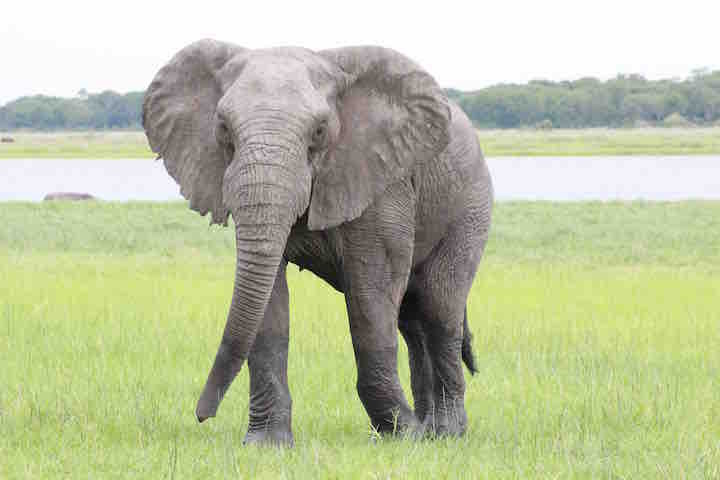 Seeing so many animals in the wild – from tiny Malachite Kingfishers to elephants and hippos – was simply marvelous. 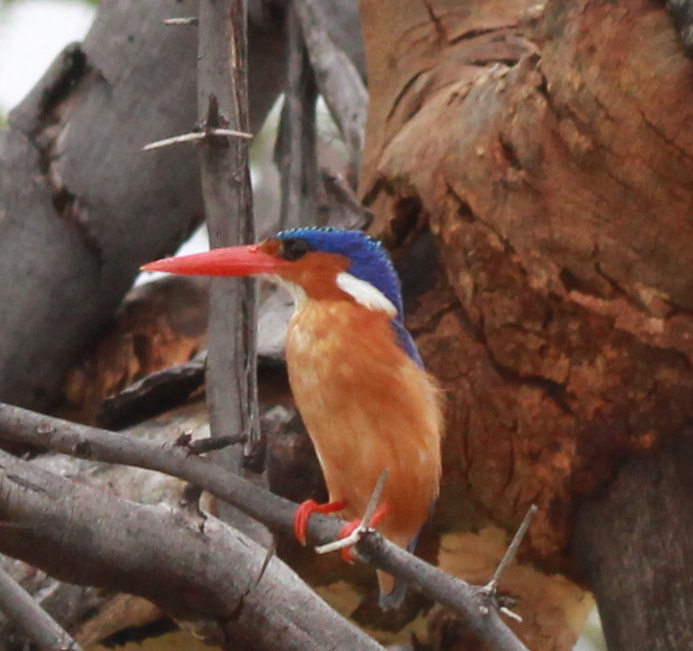 The Malachite Kingfisher – my favorite bird. For the first time, I saw a pair together! 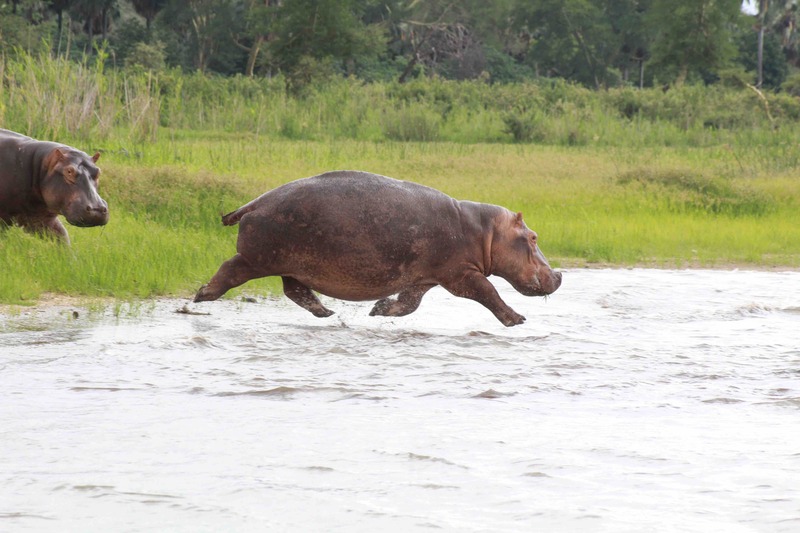 Have you ever seen a hippo jump? Look closely – none of this one’s legs are touching the ground as he races into the Shire River. 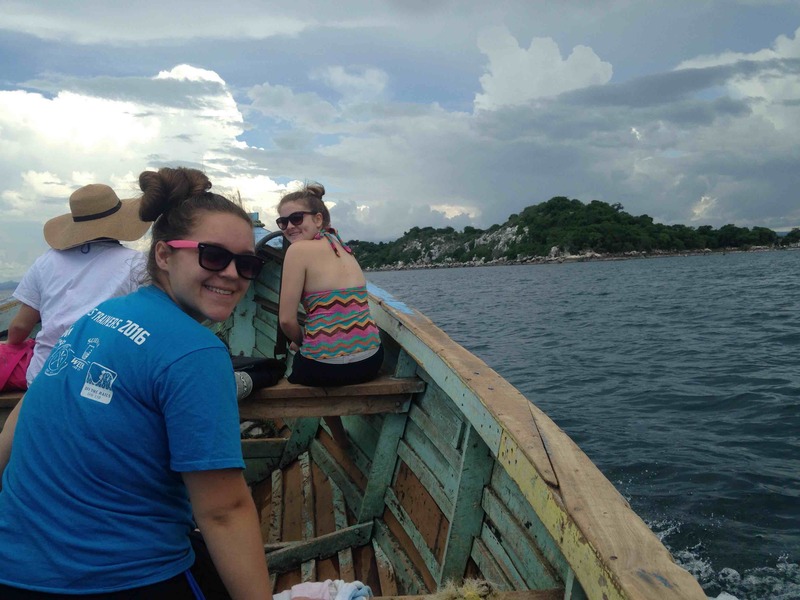 January 6 we spent on the shores of Lake Malawi, engaged in a retreat/day of reflection. We might or might not have expanded the definition of “reflection” to include hiring a local gentleman to take us out to an island a mile or so offshore where we were free to admire amazing birdlife, see the beautiful Lake Malawi cichlids (fish), and take a swim in the lake. Heading toward “Bird Island” for a swim! I’ve asked each of the young people to offer a reflection for this issue of the blog. There was no assignment other than simply writing a few sentences saying something about their experience. I am so proud of the way that each of them has wrestled with trying to see things from a variety of perspectives and has tried to enter so deeply and fully into this experience. I am eager to see what they might say six months from now! From Joe: With so many new sights and sounds, traveling to a new place can be easily overwhelming. Myself, I’ve always wanted to see the world. I have always been interested in the languages, cultures, foods, and different lifestyles of the world. 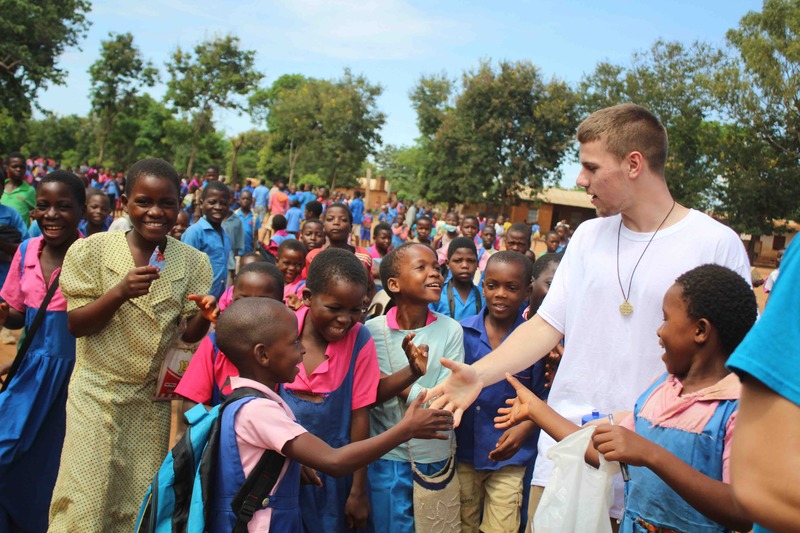 My time in Malawi has been a perfect way of feeding that interest, as well as helping it grow into a passion. 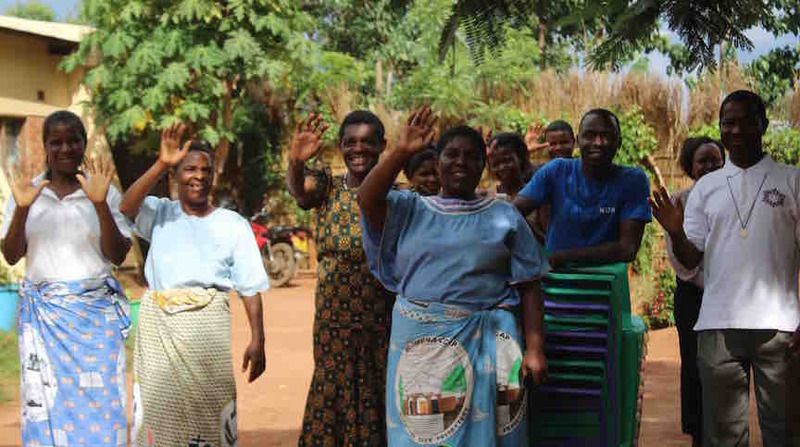 The people of Malawi have been nothing but kind, courteous, and lovable. For instance, we stayed with a man named Davies, whom loaned us his vehicle without question. So many good people have opened their homes and their hearts to us. Something interesting about Malawi is that nobody expects you to even attempt to speak to them in their language. I don’t know all of them, but I do know a few small phrases in Chichewa that will make any Malawian happy. Asking them how they are doing is a great way to get a smile and and unexpected giggle out of someone. As for the food we have been blessed to feast nightly, and it never disappoints. 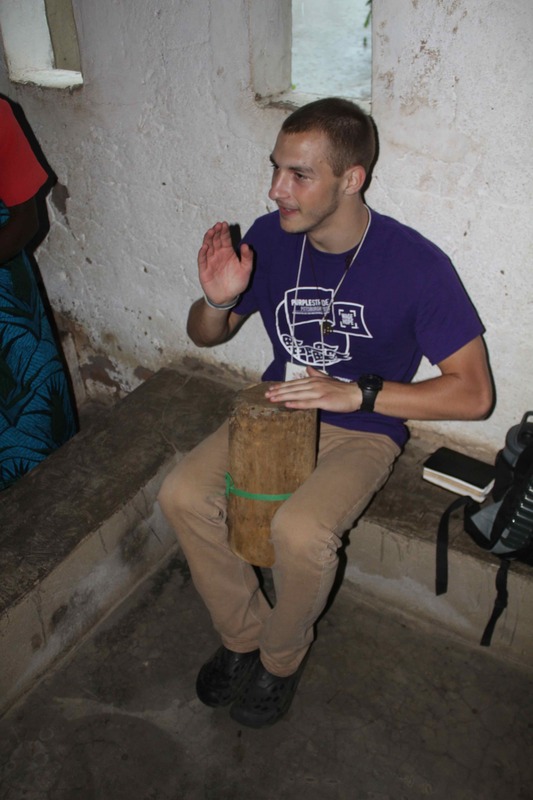 Being able to experience the different aspects of life in Malawi has been very eye-opening to me, as I had no idea the highs and lows of a country that is sometimes ranked as the poorest in the world. I love Malawi and I love the people of this country. It makes me happy to say that I feel like they love me just as much. From David: Where do I start? There is always so much to talk about to keep this short. 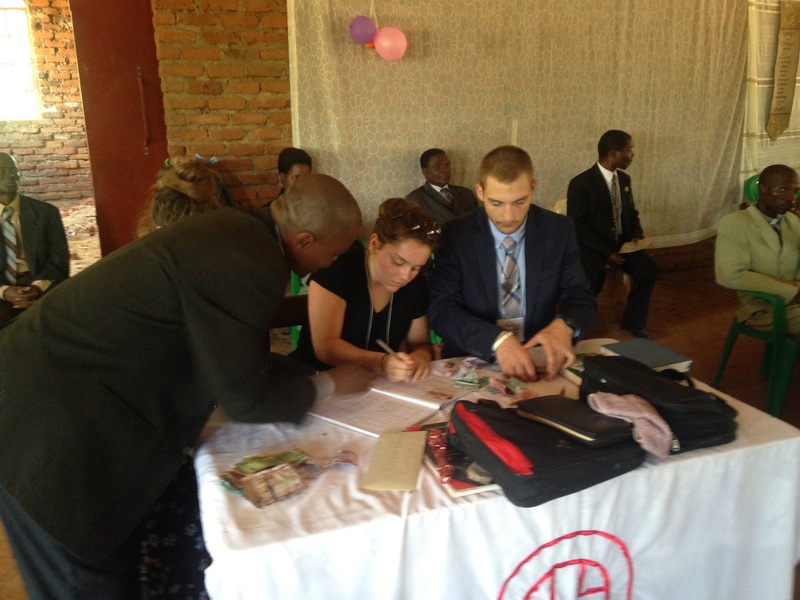 We have traveled all around Malawi to places like Blantyre, Mulanje, and Ntaja. We have seen people with so much and people with so little. We have seen people taking care of few children and some taking care of 20. There are so many struggles people go through here and the list just doesn’t stop. But what I’ve noticed is that the people are happy. People still possess so much joy when there is such a lack of “stuff”. People here have made sure we have something to eat before themselves, or even their children. It is hard to experience when you are in the moment, but when you look back on it later in the day it starts to make sense. They are the hosts and we are the visitors. They make sure we have more than enough food, more than enough water, more than enough of anything. They give us everything to make us happy and that makes them a blessing. Anyone can give up $5 when they have $500, but they will give you $5 when that is all they have. 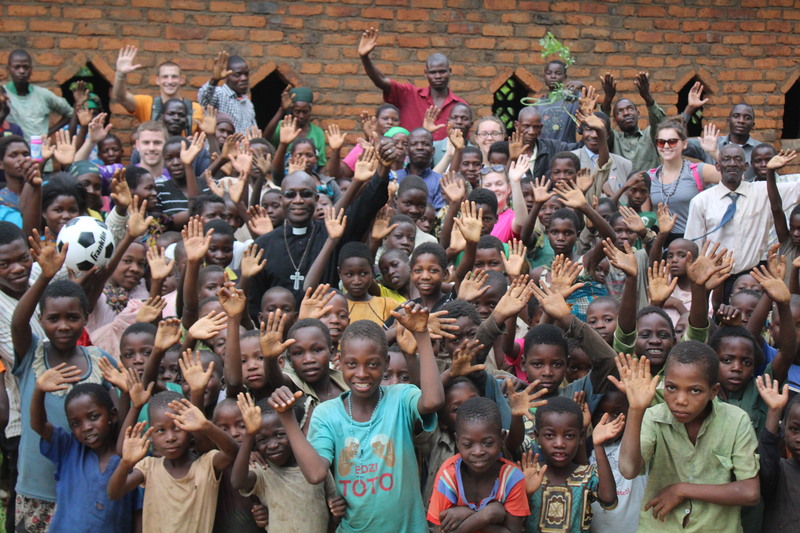 God, bless them all, and everyone here in Malawi. 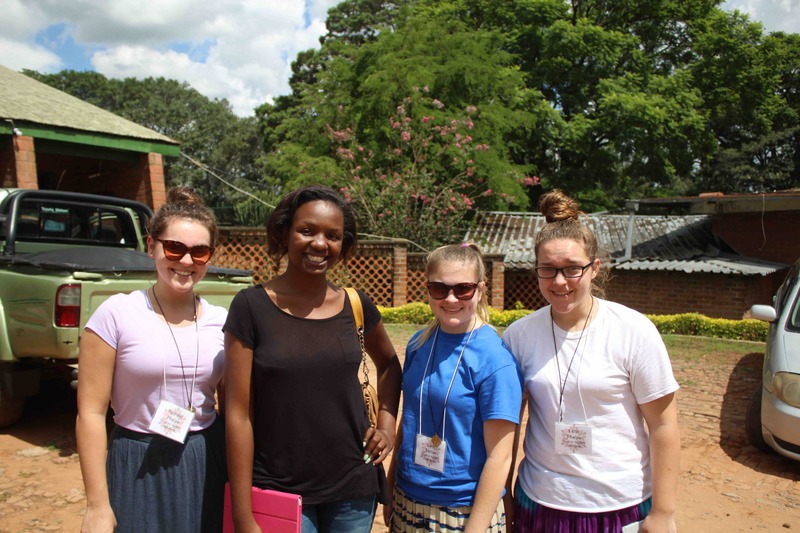 The girls and Mrs. Tongwe, their “mom”. 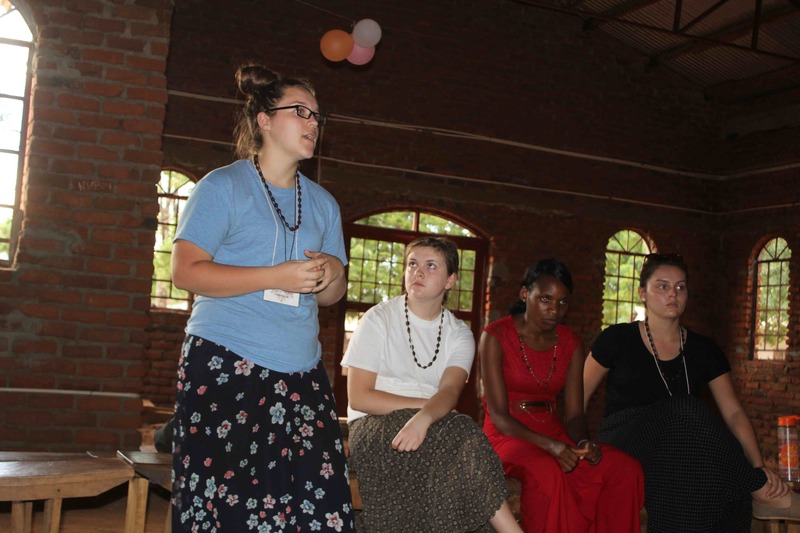 From Katie: In the days leading up to our trip to Ntaja, I was very nervous about everything that could possibly happen upon our arrival there. The drive up Saturday was quite a challenge between the fear of the unknown and being extremely tired. In addition, it was long, hot, and uncomfortable. I rode in a minibus with some of our hosts along with David and Joe. I was frustrated by the fact that we couldn’t drive up all together and didn’t understand why we needed to be picked up in Blantyre anyway. When we got to Ntaja, I realized they came out of hospitality and excitement. Although I was annoyed, I came to see that it is just part of the culture. When we got to the manse, we were greeted by our host families and waited two hours for a meal during a blackout. After eating, we were taken to our host “homes”. I was thankful that Carly, Rachael, and I were all in the same house – we had a small room of our own with a single bed and two bunks. The first night was very difficult for us as we tried to navigate the small space and endure the heat. I thought that these four days would be the longest ones of my life. As we got to know the host families, we were more and more comfortable with our situation, and it got better and better. We enjoyed long conversations with our “brother” and the neighbors. When we gave our gifts, we could easily sense how something so simple meant so much – and they were all hung up when we got home. We received chitenges and were taught how to wrap them. I never thought I would be sad to leave. 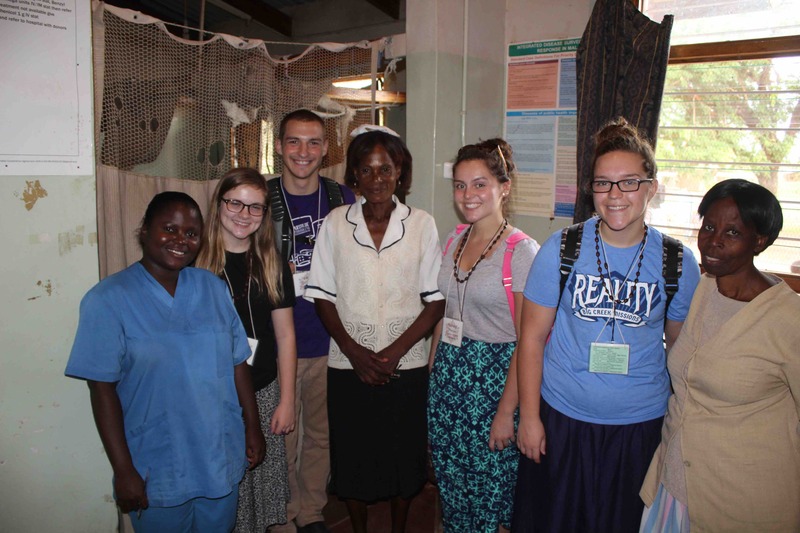 Our “mother”, Mrs. Tongwe, said that she just waited for us to get back every day. On Thursday afternoon, I cried while saying ‘goodbye’. The family meant a lot to me and based on the 3 messages I have already received from Mrs. Tongwe, I think we meant a lot to them as well. The folks from Ntaja waving as we depart. 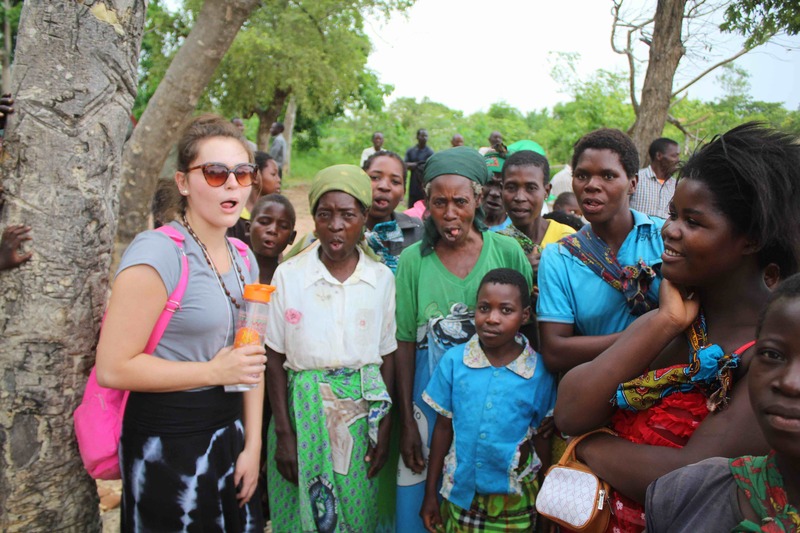 From Rachael: Our first few days in Malawi I felt like we were just going with the flow. We would wake up and do so many things, shake a ton of hands, and always be hours late. But when we got to Ntaja, that changed. 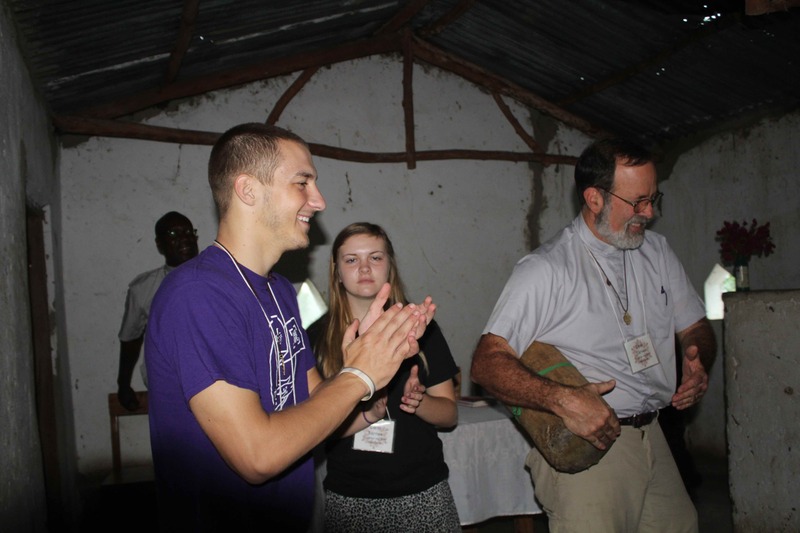 The first night there was overwhelming – the power was out and it was very hot. At one point I was sure that there was no way I would make it through the next four days. But as the days went on, we found ourselves waiting and sitting more and more in between our planned activities. 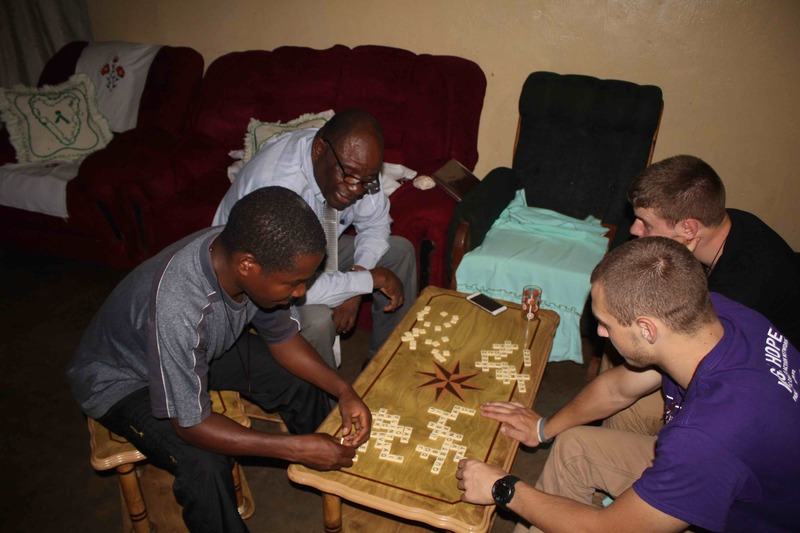 We took advantage of the “down time” we had to build friendships – even while we were walking in some difficult places. 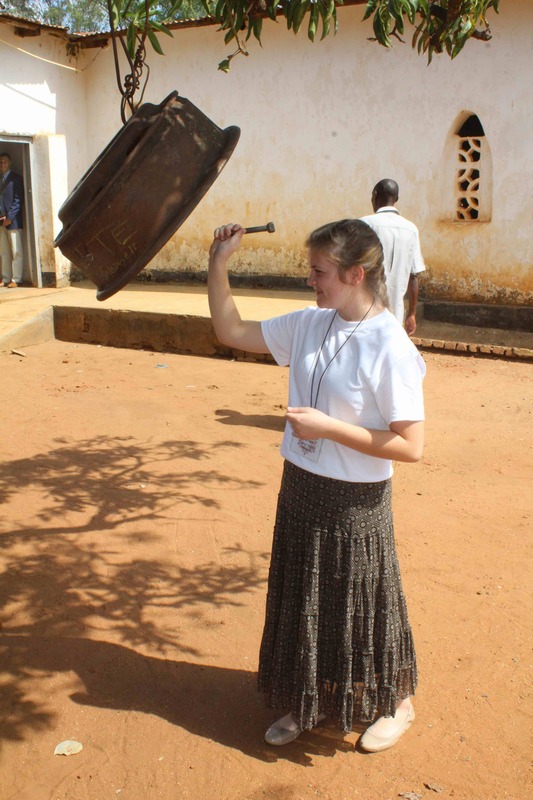 Those were the moments that made saying goodbye to our sister church so hard. From Carly: Since I want to be a teacher it was interesting (and a little difficult) to see this classroom. I loved seeing how well-trained these first or second grade students were, and how much they were engaged in their learning. 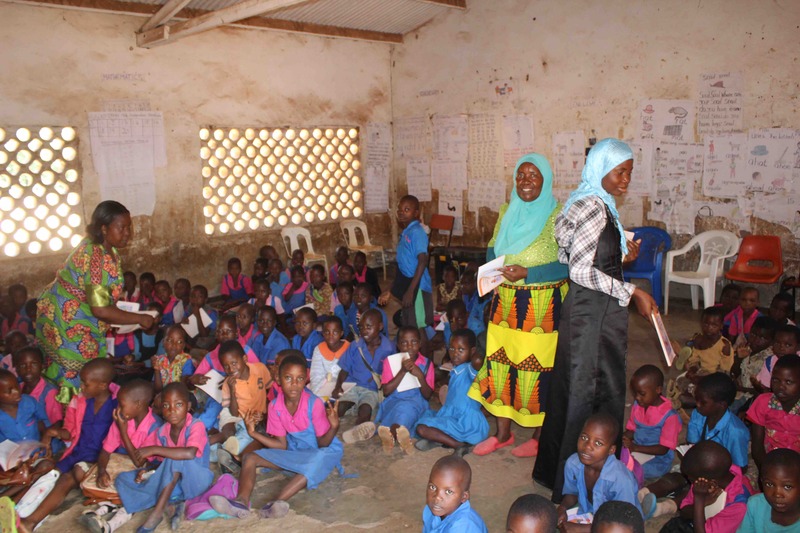 It was hard for me to see more than 100 students in a classroom, each of them sitting on the floor and none of them having their own books. I could never imagine teaching like that. 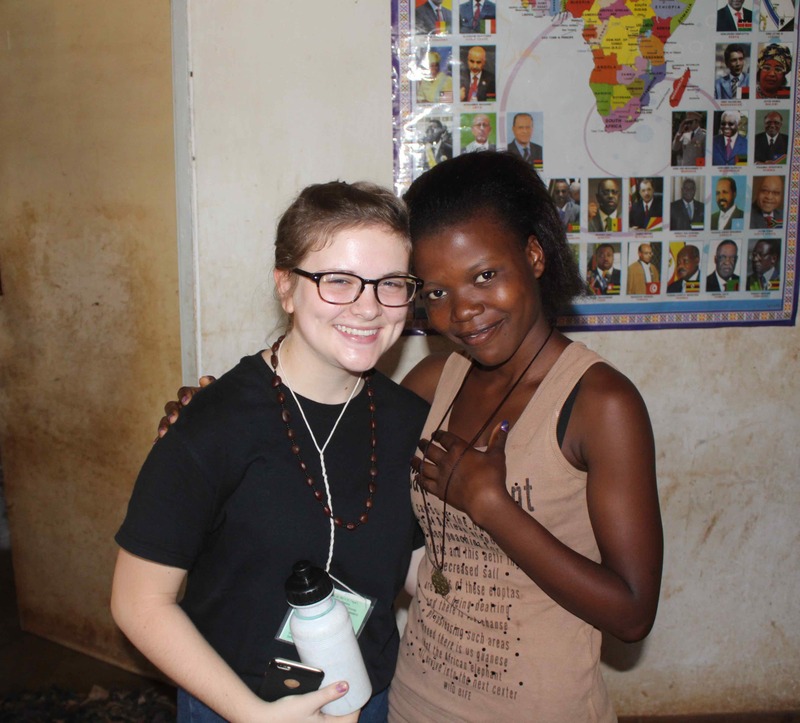 One of the young women we met, Jean, gave me some thoughtful gifts, so I thought it was only right to give her my Jerusalem Cross necklace in return. I could tell how much she enjoyed it as she clutched it. That made me feel so happy. Well, what a difference a day makes! 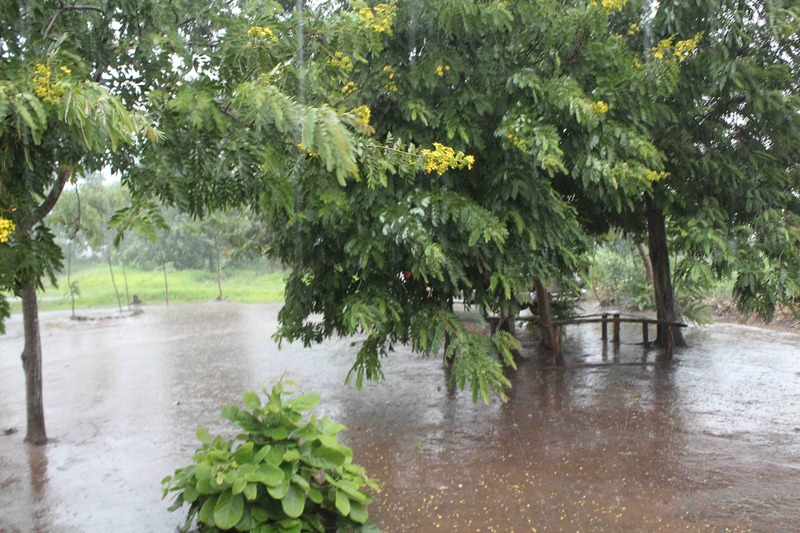 The rains that began on Monday night returned – with purpose and determination – on Tuesday. 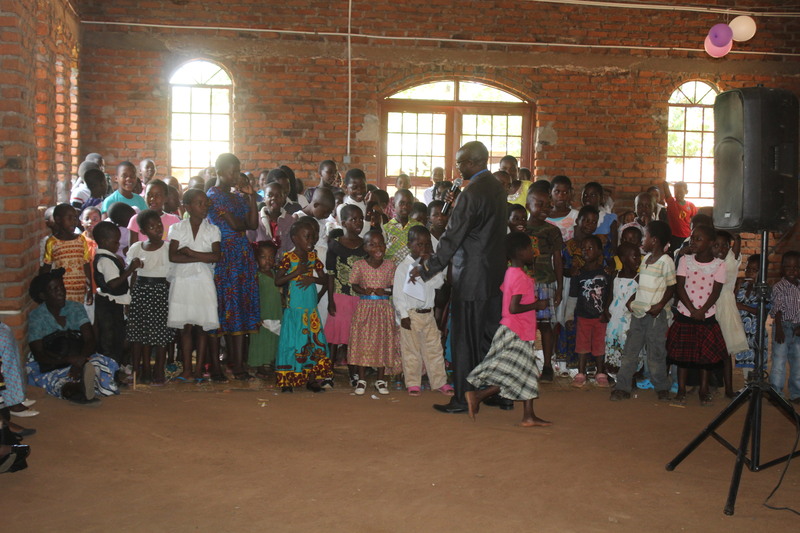 Our program called for us to visit the Mkuluwiri Prayer House in the morning. I was already nervous about this trip because the last time I tried to visit the place, the vehicle in which I was riding became mired in the mud along the side of the road and it took about six hours and about forty people to lift it onto the hard-packed clay of the “main” road. Perhaps the Malawian branch of the AAA has improved in the last seven years, but I wasn’t eager to test that theory. I was glad when the day dawned bright and clear and I could see that the road was good all the way through to the prayer house – even though we had a few sprinkles as we drove. We had just arrived at the prayer house when the heavens opened. I mean to tell you, it was raining HARD! We tried to begin a worship service with a couple of dozen eager and intrepid souls, but the torrents of rain pounding on the tin sheets made it literally impossible to hear anything. The rains came so quickly. This ground was dry 30 minutes before this photo was taken. Thank goodness for 4 wheel drive! Carly’s not sure about it, but I kept the beat for a while and then passed the drum to David. We sat in the darkness and noise for a few moments, and then one of the men began to sing. The chorus picked up, and we discovered that 35 people singing at the top of their lungs is a prayer and praise that can transcend the din of the downpour. One of the men then retrieved a drum from the back of the building, and I got the other one – to the amusement of our hosts! 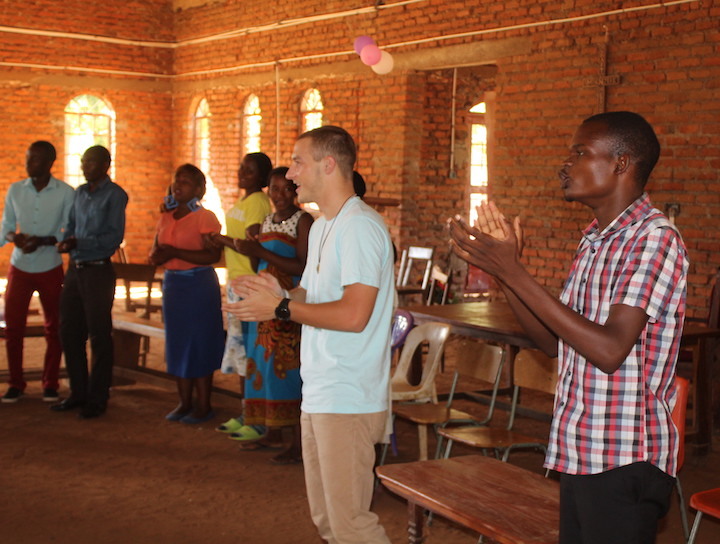 We taught the Malawians “Lord, I Lift Your Name On High” and “When Jesus Says Yes (Nobody Can Say No)”. Eventually the torrent subsided into a hard steady rain and we decided to continue. 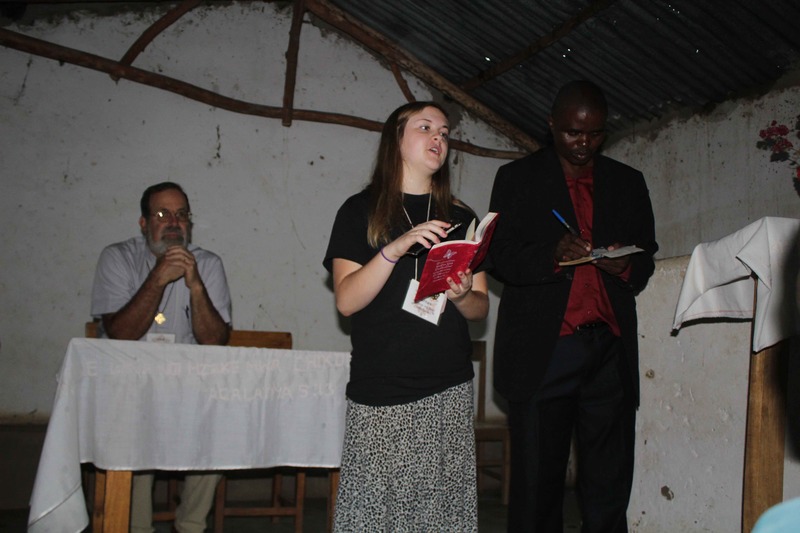 Carly preached her first sermon ever, and she’d tell you that it was a little on the short side. Oddly, no one there complained about a short sermon! She was great. 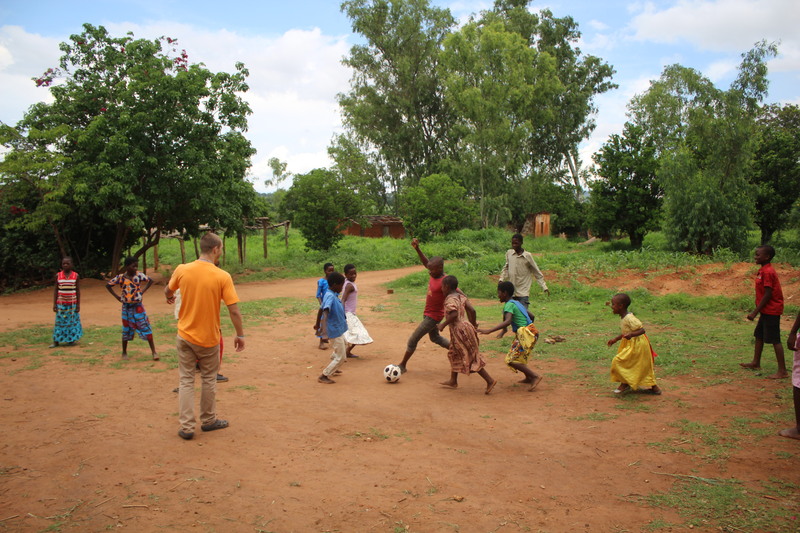 We left the gift of a soccer ball and shared a few more songs, and then began the drive back to the paved road. 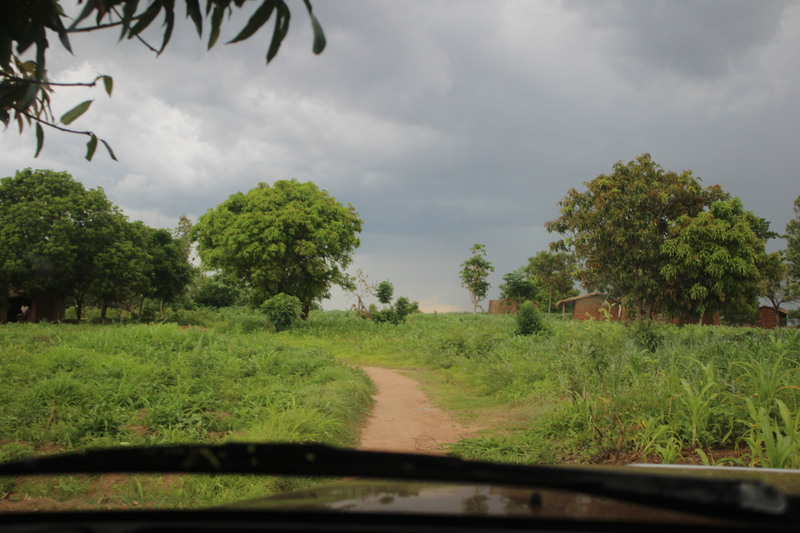 I was more than a little nervous after the addition of an inch or two of rain, but our trusty Nissan Patrol got us through the muck and mire and saw us through. Carly presents the truth about the ways that God’s people are united in so many ways – based on Acts 1. Sharing a hymnal written in a different language while singing in the near darkness during a downpour… worship has its challenges! The downpour meant that we could not actually use this gift today, but it was gratefully received as a symbol of partnership in reaching young people with grace and hope! The second stop of the day was cancelled due to the rain, and we had a leisurely lunch break together at the manse (pastor’s home). That gave us a chance to do a little reflecting, to play some Bananagrams, and be bored for a few moments. Longtime friend of CHUP Edith Makuluni is a nurse at the Ntaja Health Center, and we visited that facility in the afternoon. 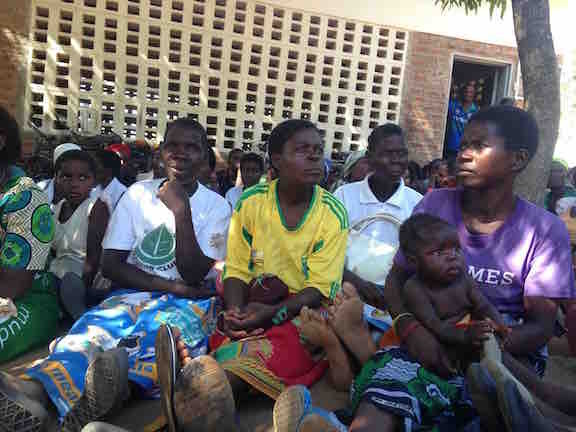 It was crowded and hot – Tuesday is the day when patients living with HIV/AIDS receive their anti-retroviral treatments, and many people had come in for treatment of various illnesses and maladies after the long New Year Holiday. We toured the labor and maternity rooms, where we met and prayed with about eight women who had just given birth; we then visited a group of expectant mothers who have come to the Health Center in anticipation of their labor beginning (the Health Ministry encourages pregnant women to come to the hospital on their due date, even if labor has not yet begun, so that if there are difficulties with the delivery there is some experienced help on hand). We also took some time to simply walk through the town of Ntaja, and it’s no understatement to say that each of our young people found some aspect of that experience to be simply overwhelming, if for no other reason than sensory overload. The tremendous crowds, the pungent aromas, the raucous din of the mosque and the music and the vendors… well, it was an experience to say the least. The “new” church building is nearing completion. It is a marked upgrade from the older structure in terms of size, ventilation, and shelter. And lay lodged – though not dead. I continue to be ceaselessly proud of this team and the work that they are doing to share grace and friendship to their hosts and to each other. 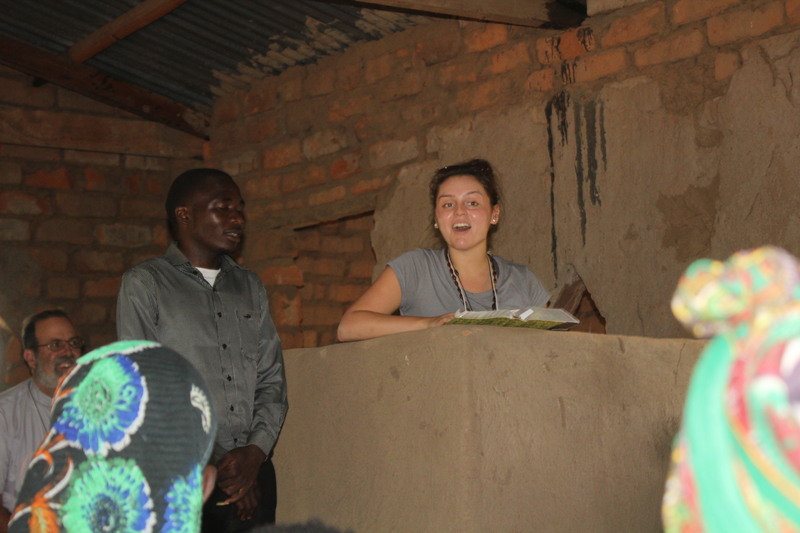 I am also amazed and impressed at the work that our hosts are doing on our behalf. My prayer is that the seeds that are planted on this trip will continue to bear fruit of hope and transformation in the weeks and years to come. 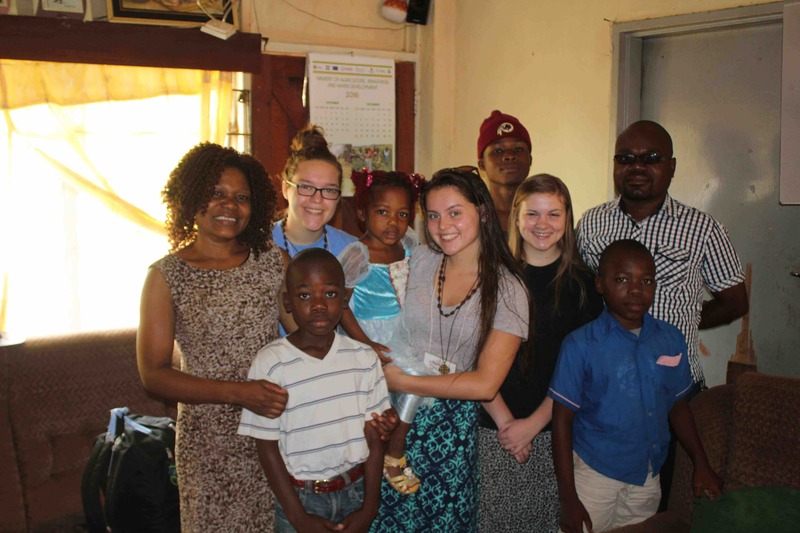 The girls and their Malawian Family! Menes was the first host I ever had in Ntaja, and I’m delighted to say that we’ve spent wonderful times in each other’s homes and presence for almost two decades now! Relaxing at the Manse with Fletcher and Menes… and bananagrams! The brilliant blue skies highlight the beauty of the trees in blossom. The CCAP shares a great deal of history and tradition with the PC(USA): we all have local congregations, governed by sessions, served by pastors, and related through presbyteries. 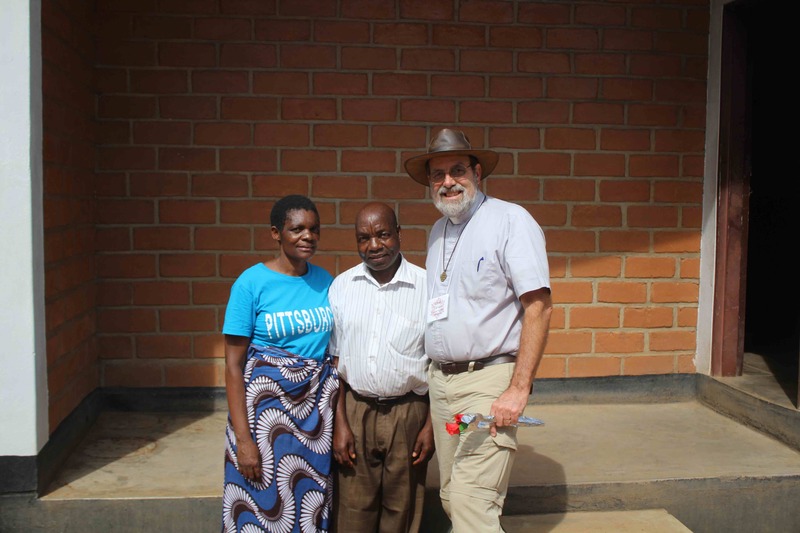 One significant difference, however, between our experience at CHUP and that of many of our Malawian friends has to do with the sheer numbers involved. 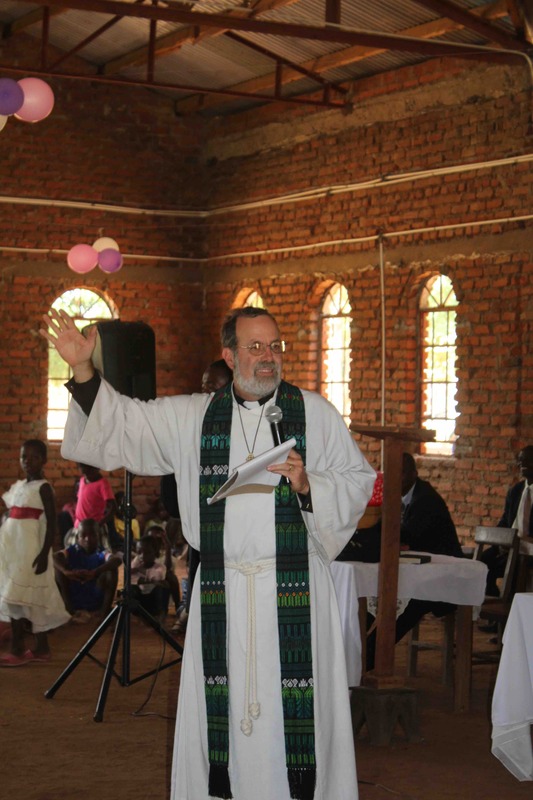 Blantyre Synod, with nearly two million members, is comprised of a large number of congregations that are served by a much smaller number of pastors. 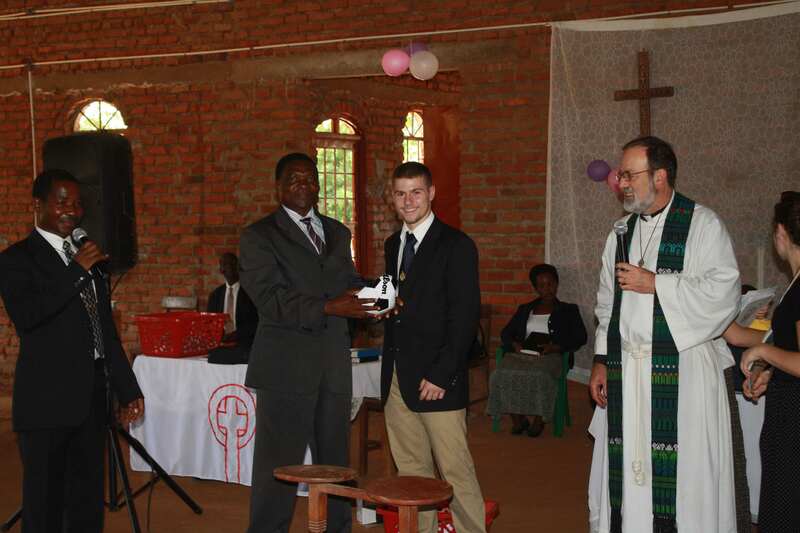 Abusa Noah Banda from Mbenjere, for instance, has eight other congregations for which he is responsible. Furthermore, each congregation is responsible for a number of outlying worshiping communities called “Prayer Houses”. 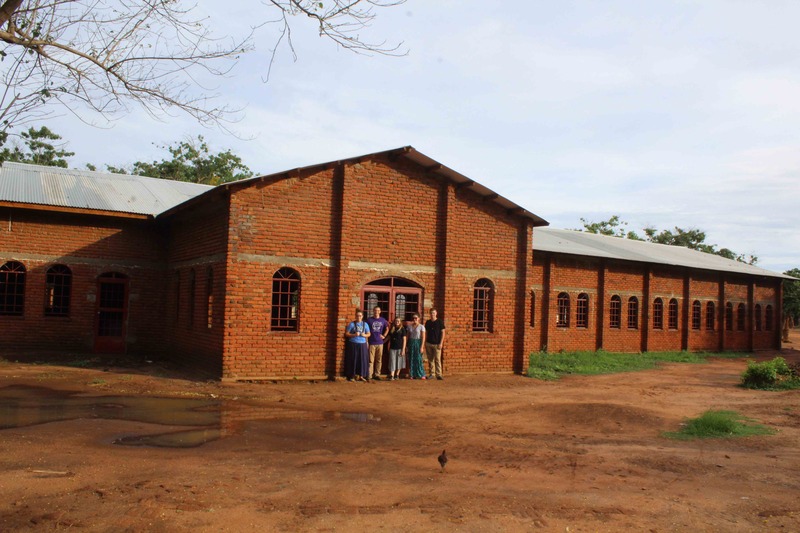 The Prayer House is typically in a village setting some distance from the main congregation, and will serve anywhere from a couple of dozen to several hundred Christians who find it difficult to walk the significant distance to the main congregation (often as much as 15 or 20 miles). The pastor and elders are supposed to visit these prayer houses on a regular basis. 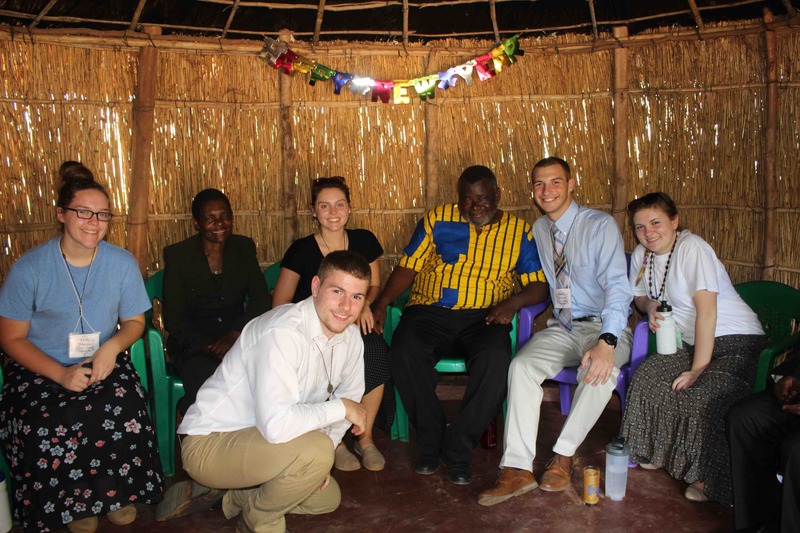 It was our team’s privilege to spend Monday January 2 visiting two of Mbenjere’s three prayer houses. 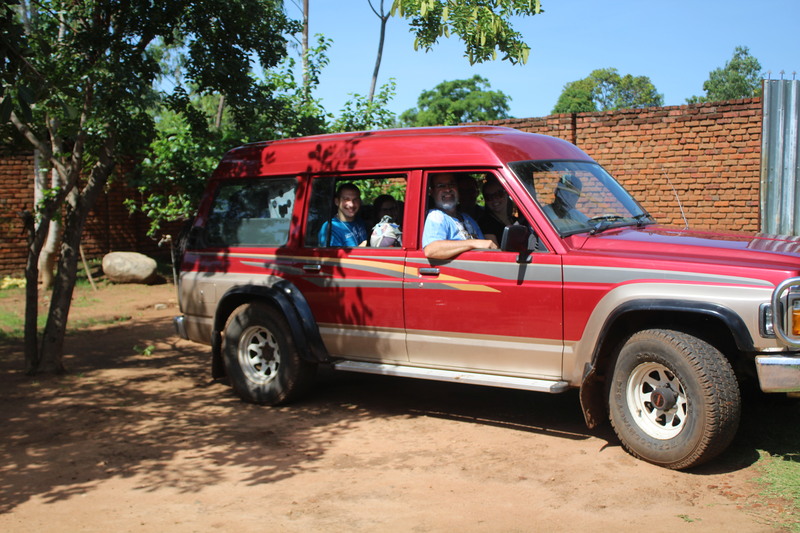 We are so fortunate to have access to a “loaner” vehicle – a Nissan Patrol that seats five very comfortably and ten with less leg room… This vehicle made it possible for us to get wherever we needed to go in the Machinga district and beyond. This was very helpful when we consider the “roads” over which we traversed. 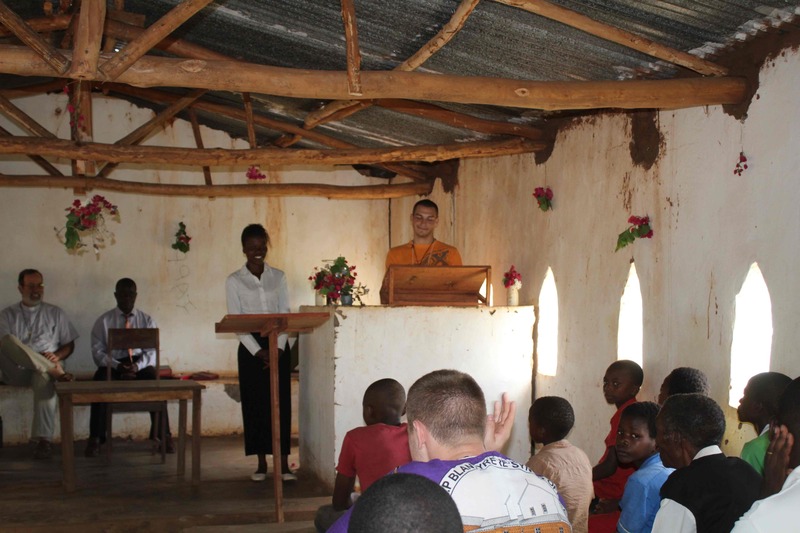 The first stop was at the Khole congregation, where David made his preaching debut. The congregation of about thirty or so was eager to hear him speak about Abram’s call from God to leave the land of his home and his family and to go to a strange country and be a blessing to those who were there. David spoke about the ways that blessing others and being blessed by them is a circle in which all can share. We were able to share in the singing of new songs as well as familiar ones like “Palibe Ofananaye”. 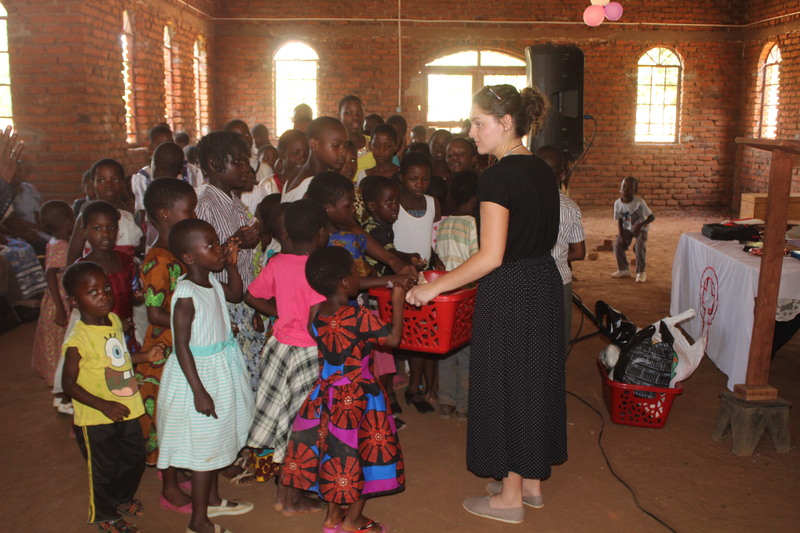 We were able to present the leadership of the prayer house with the gift of a soccer ball as we explained the role that sports play in helping the Open Door to establish relationships with neighborhood children. 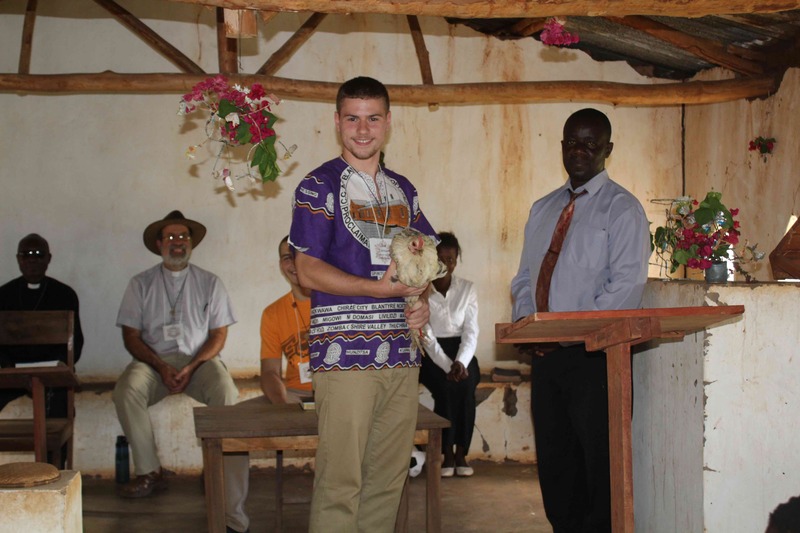 We were honored to receive a reciprocal gift when the congregation presented us with a live hen! We enjoyed a delicious lunch at the home of Mr. and Mrs. Chitedze. 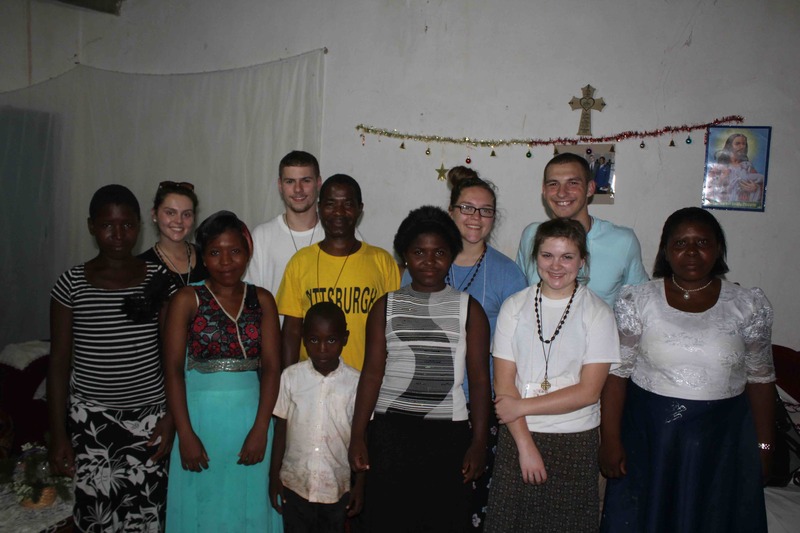 Many CHUP members will recall Rose’s visit to the home of Erin Butti in 2014. Following this we were delighted to visit the dynamic group of Christians at the Naperi Prayer house. 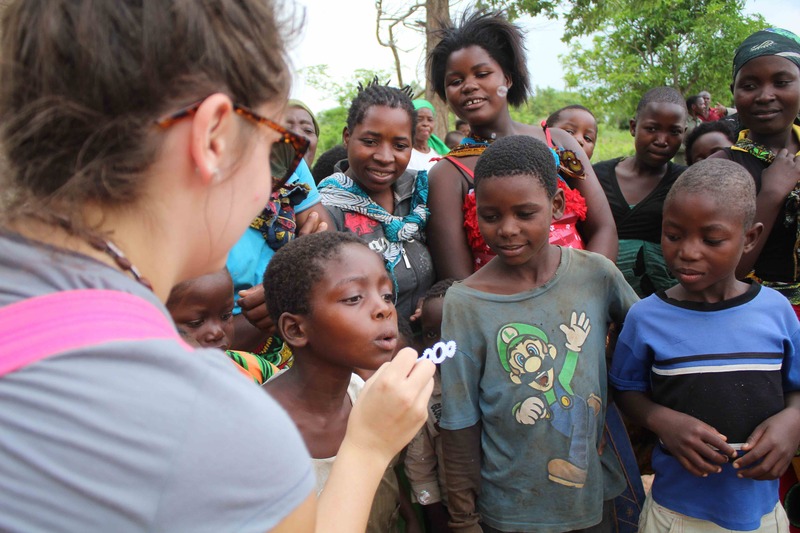 Although the road was very, very convoluted (even our resident Malawian direction-giver said, “I don’t like this place at all – all the roads look the same, only smaller…”), the welcome was warm and energetic. There were nearly 100 people waiting for us, and we joined in singing, dancing, and more. 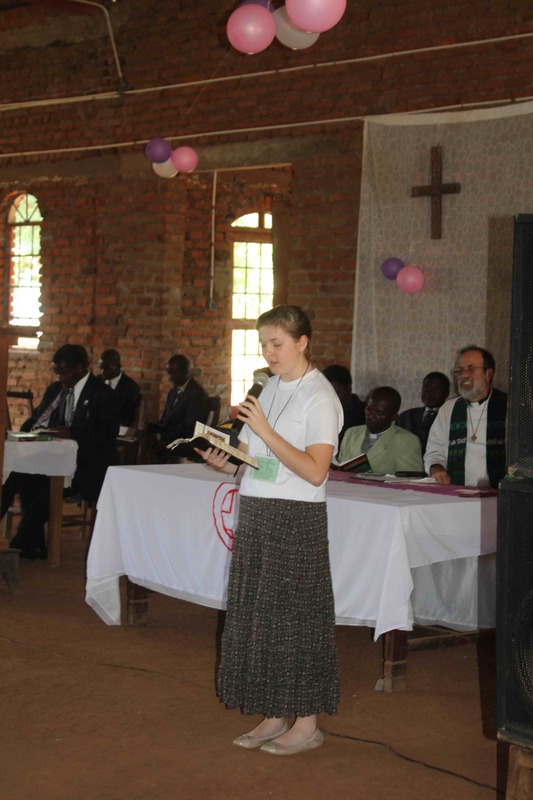 Rachael preached the first sermon of her life, using the text in which Jesus challenges his first followers (and those of today) to “consider the lilies” and make sure that we are seeking to be participating in the practices of gratitude and thanksgiving, seeking to obey God and seek his righteousness first. 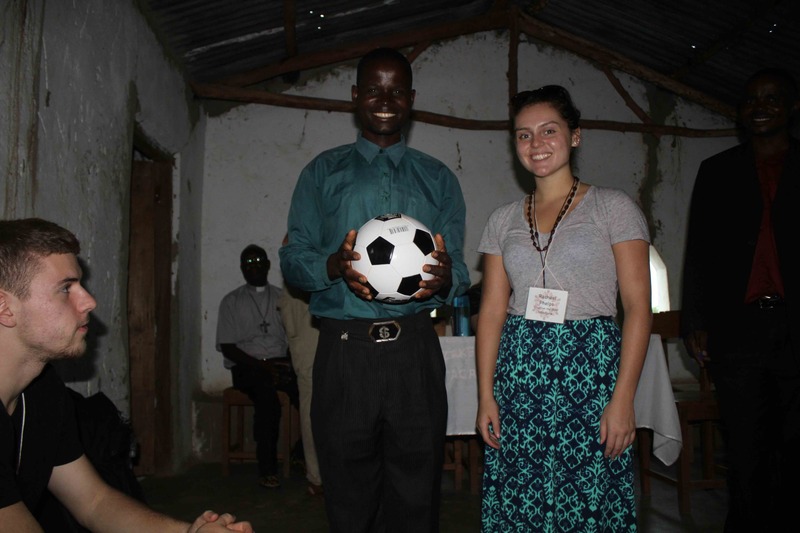 We were very, very happy to see the joy with which this group received the gift of the soccer ball and we took some time to simply share in the joy of being together. Soccer and netball were played, bubbles were blown, “It-Tag” was played, and Rachael even received a lesson on how to ululate properly! There was so much laughter, deep and rich. If you appreciate deep worship and extravagant laughter; if the sound of children singing and old women praising is appealing to you; if running and smiling and dwelling in the present as if today is all that matters sounds like a good plan to you.. well, then, I wish you could have been there. It was all that and more. We had a bit of concern as we neared the end of our day, however. 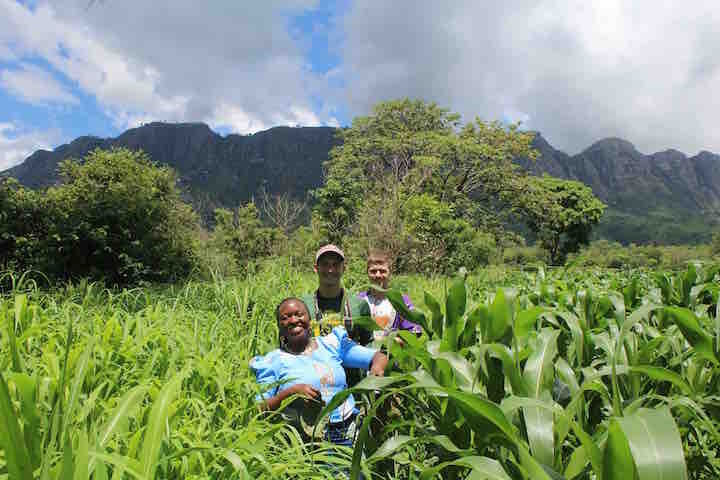 The more we drove through the acres and acres of crops, we saw that while some of the maize that was planted earlier in the season was growing, the later plantings were wilting. 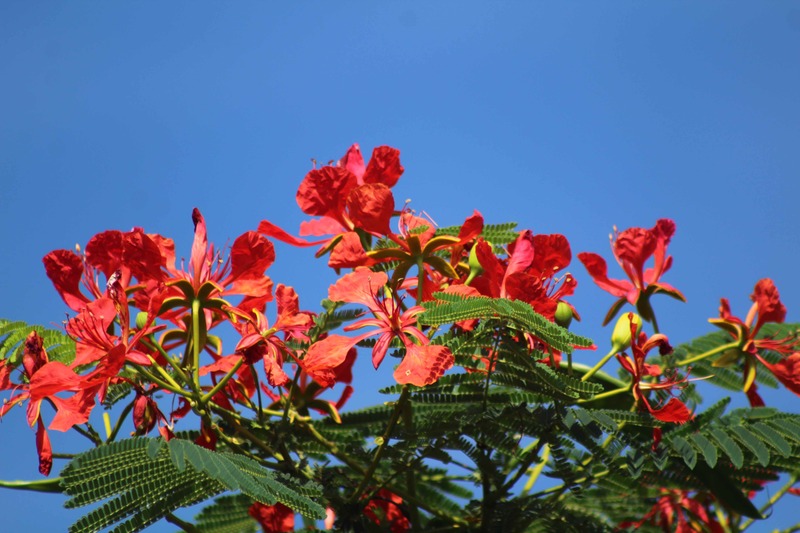 It occurred to us that even though this is the “rainy season”, we hadn’t actually seen any rain. 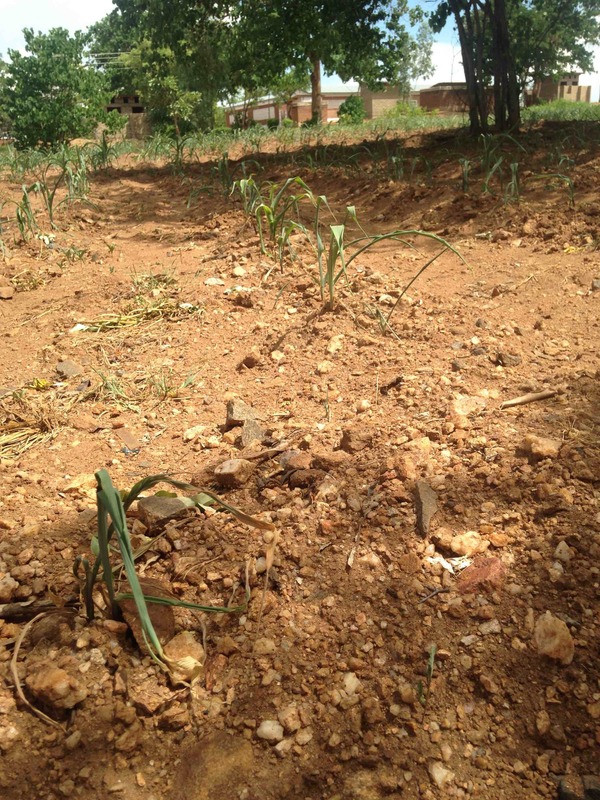 Our colleagues who work in the Ministry of Agriculture shared a concern that if the rains didn’t resume, there could be dire consequences. The dry roads were a boon to us, but a concern to those who rely on the rains to provide their food. We had a good discussion on the fact that one of the privileges we enjoy as American Christians is the ability to entertain the delusion that the weather and our diet are, in practice, unrelated. That is to say, those of us in Pittsburgh look outside and think, “Oh, my it’ll be cold today” or “I hope it doesn’t rain all day”, and then we go down to Giant Eagle to get our groceries that are always there, always fresh, always there for us. We never think about praying for rain, or for the billions of our neighbors who need some – just the right amount – in order to be preserved from drought but not devastated by flood. I think that we should. I know that our group, as we sat in Mr. and Mrs. Mkandawire’s home for a candlelight dinner (thank you, power outage), the rains began to fall. We found it difficult to hear the conversations, at times… but we didn’t mind. We were glad for the rain, and even more glad for the way that it put us to sleep some hours later. Maybe before you go to bed tonight, you could pray for those who depend on the rains to come at just the right time. They’ll be glad you did!